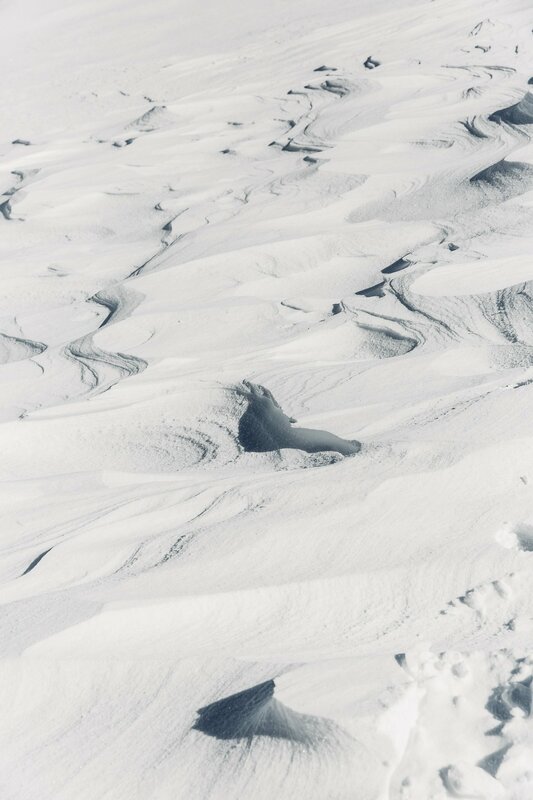 It tasted like the arctic, felt like stinging ice and smelled like fresh snow. 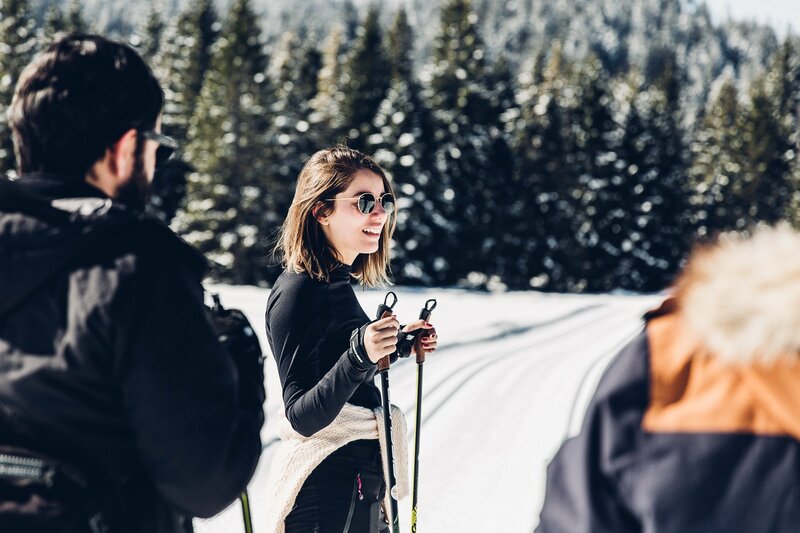 Together with a group of 9 bloggers from 5 different countries we were invited on a tour of 4 of the 12 Best of the Alps destinations in Austria, Italy and Germany. Traveling with a group of photographers is always a special kind of feeling! 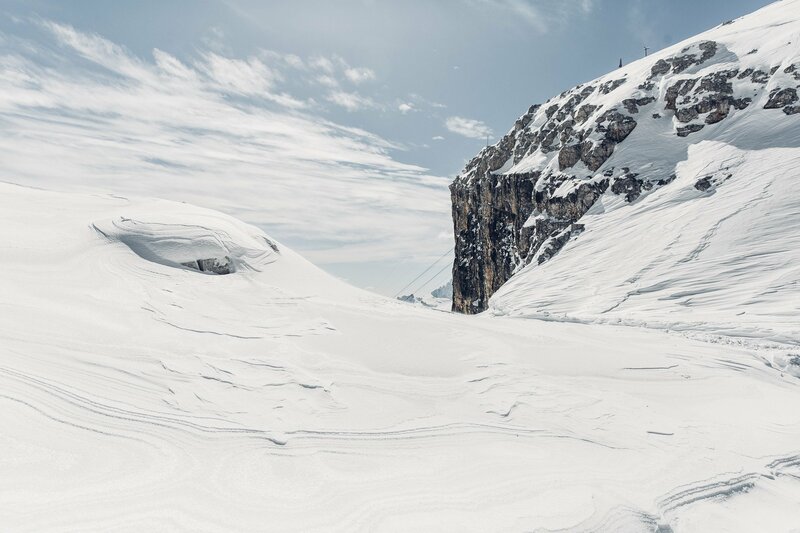 But wait, what’s the Best of the Alps? We hadn’t heard of the Best of the Alps “trademark” before we were invited to join the trip. 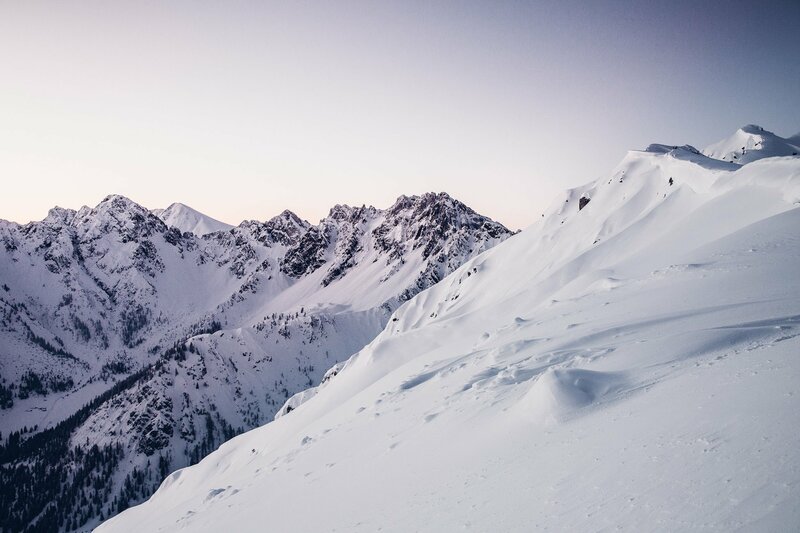 But in the end it’s rather simple: The “Best of the Alps” are precisely what the name says – an association of 12 alpine destinations, that are united by a few core elements, that define their outstanding quality. Although visiting in late March we got lucky with one of the most wintery weeks of the season! 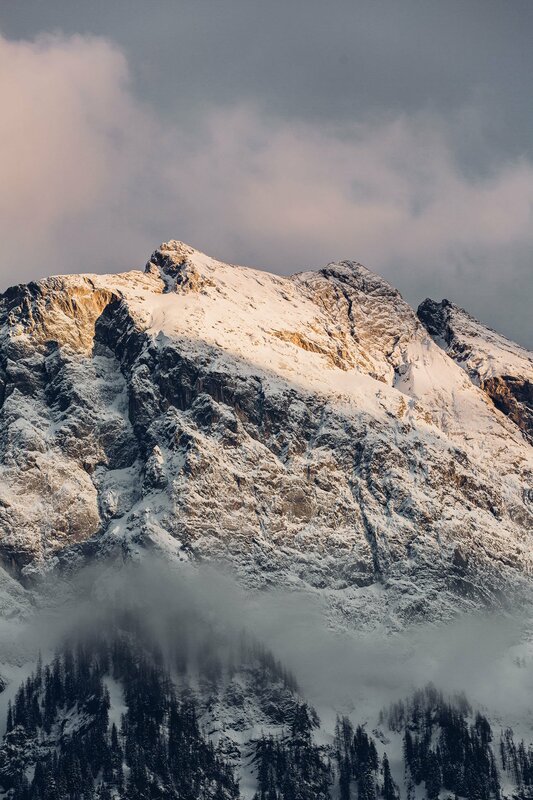 At the very heart of the Best of the Alps is a long-standing tradition in alpine tourism. 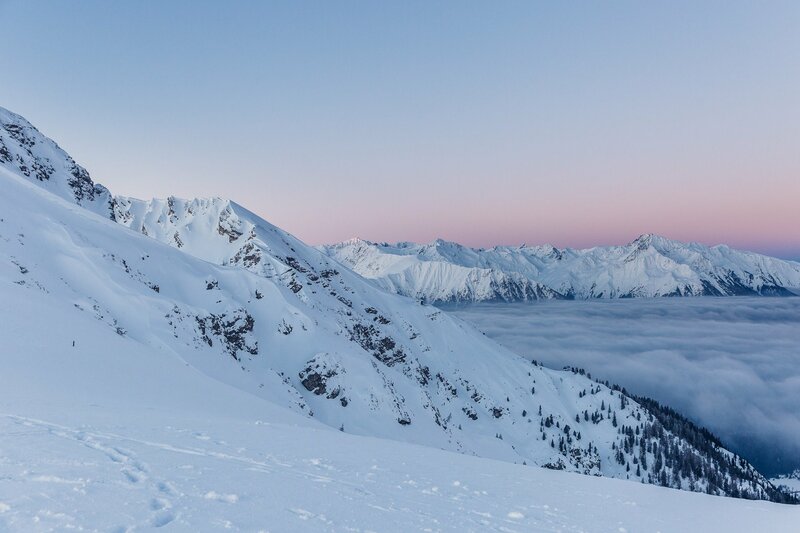 These are not artificially man-made ski resorts, but local villages and towns, that have organically grown to be exceptional destinations for alpine travellers. Our week in the alps brought a lot of fresh powder, but also many days of sunshine and glorious weather. So, where to go in the alps? 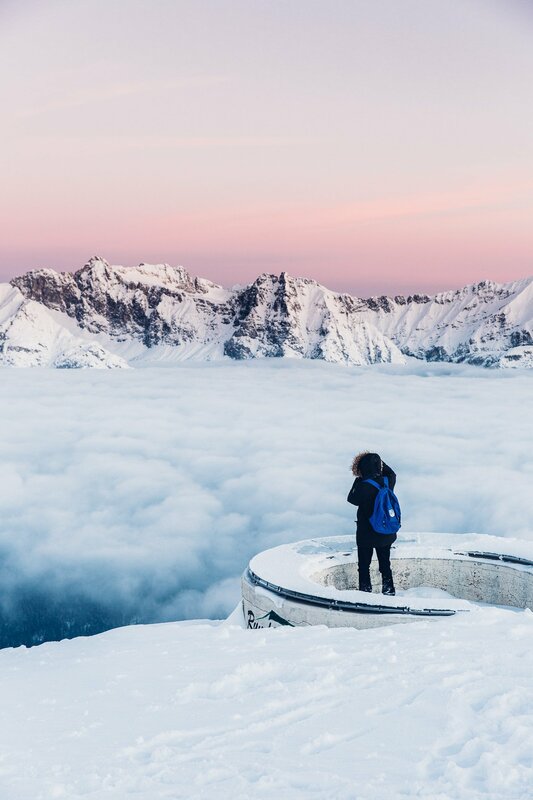 When it comes to planning a trip to the alps it’s not easy to decide where to go. 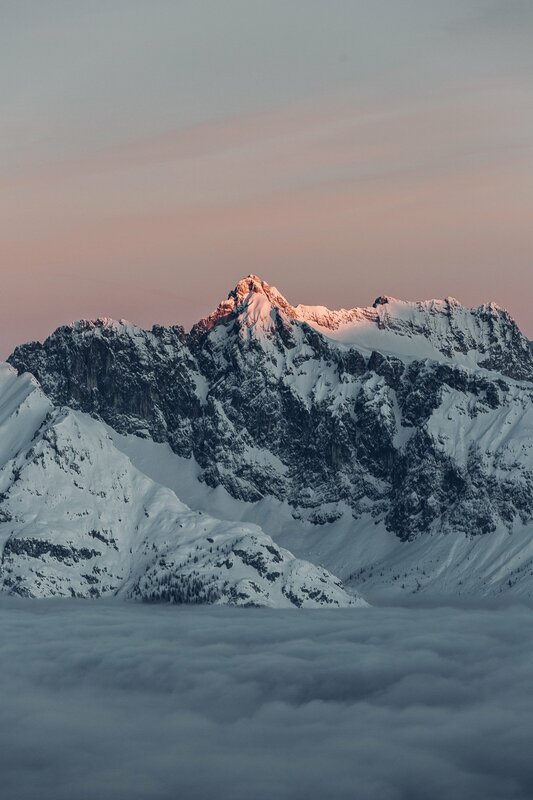 Every time somebody asks us where the “best place to go in the alps” is we feel overwhelmed by that question 🙂 It’s like the choices are endless and everyone has their personal favourites (usually stemming from a long-standing family tradition). 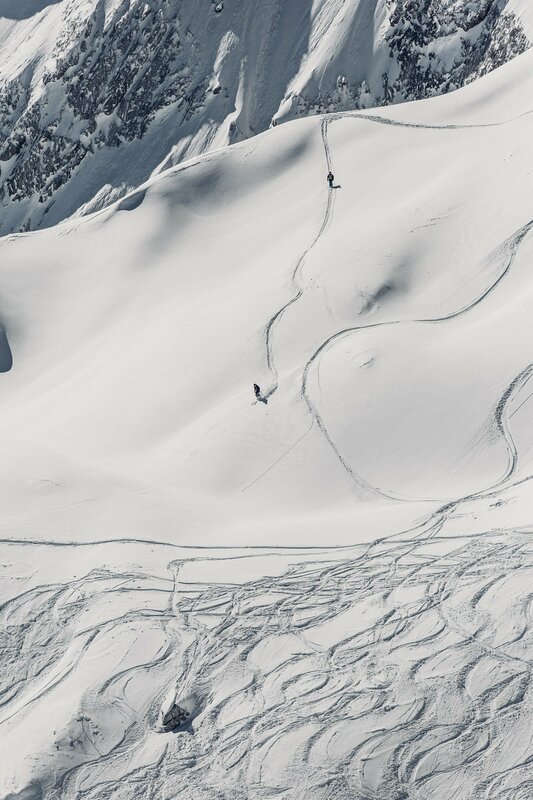 Recommending one special place in the alps is not that easy! As in our personal history our families didn’t really have this kind of routine alpine getaways every year we don’t have roots in one specific alpine region. 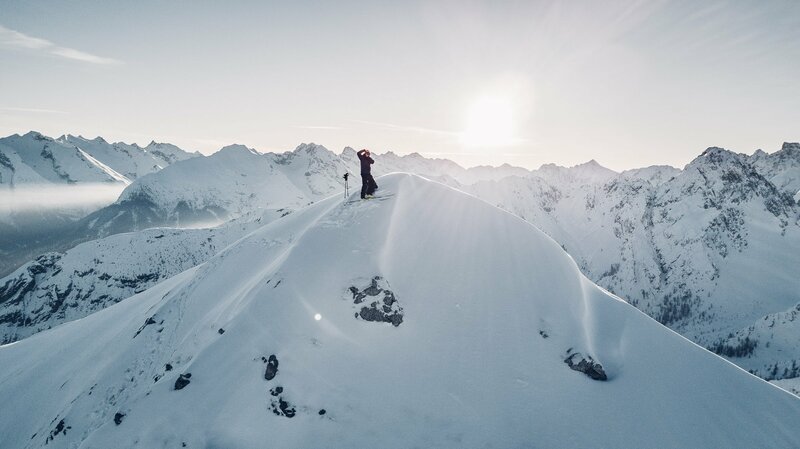 Over the course of the last years we have seen so many different locations in the alps… and honestly – each and every one had their advantages and disadvantages. So the answer (unfortunately) has to be “it depends”. So what is it that you are looking for? 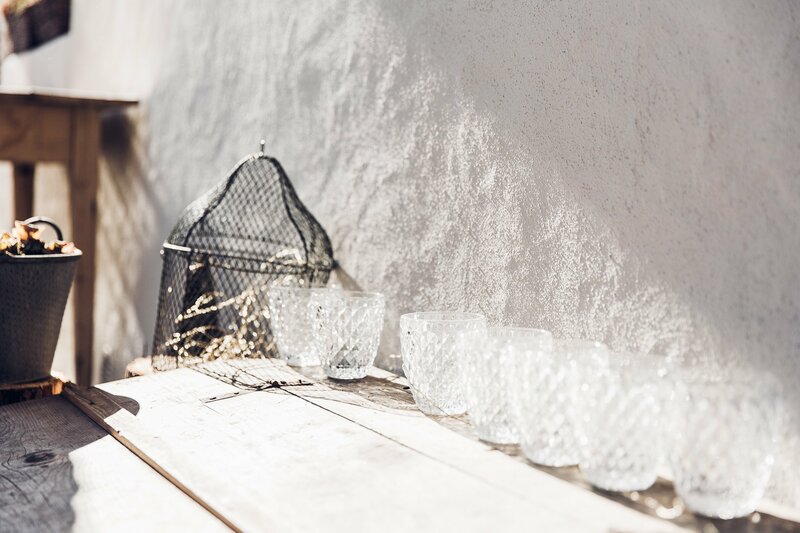 Are you looking for alpine extravaganza or local handcrafts? 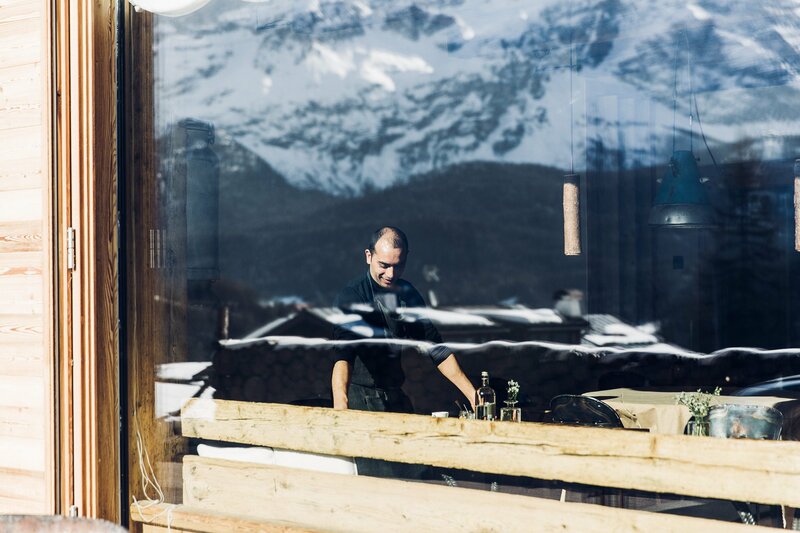 Do you prefer alpine huts or comfortable hotels with wellness areas? 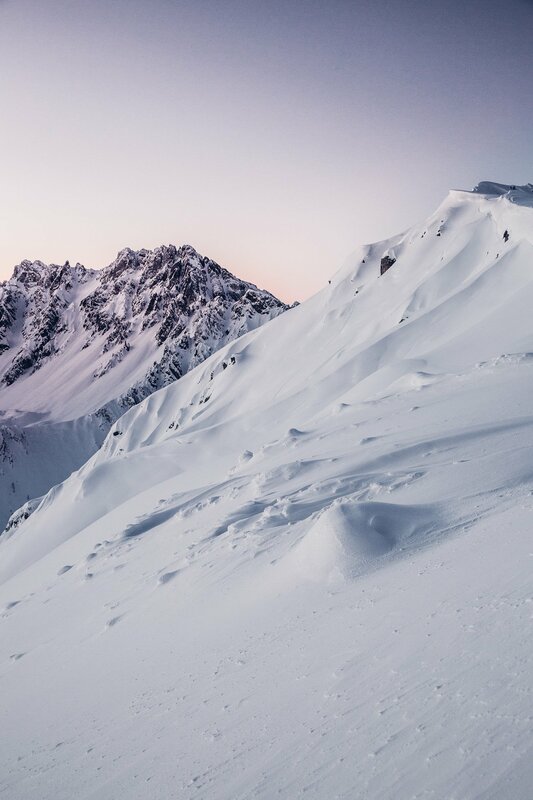 Since there’s no ultimate answer to the single-best spot in the alps, it makes sense that these 12 destinations have formed a collective to collaborate and work together. They have different offerings, traditions and history and attract different kinds of visitors. 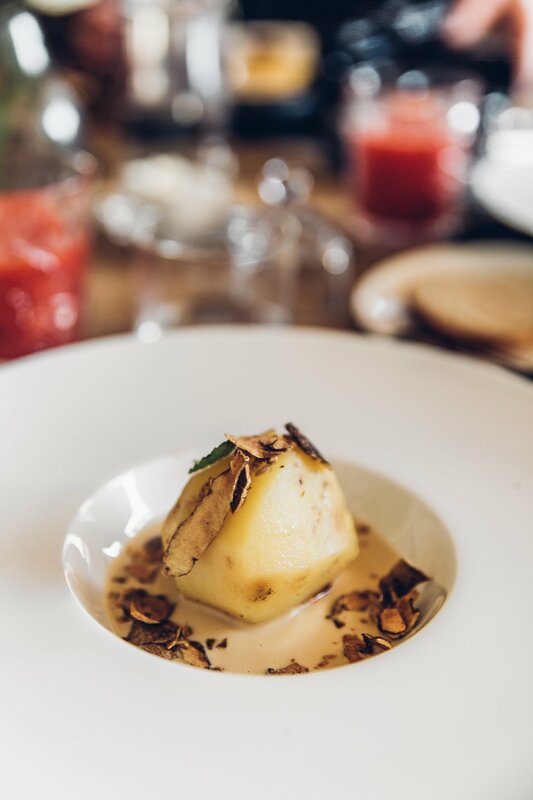 Every location in the alps can boast with it’s individualities & specialties. After visiting the following 4 destinations during the road trip, we thought it would be best to summarise what we feel each location is best suited for! But first let us show you the location of the 4 destinations. As you might know the alps start right behind Monaco and spread until Slovenia. 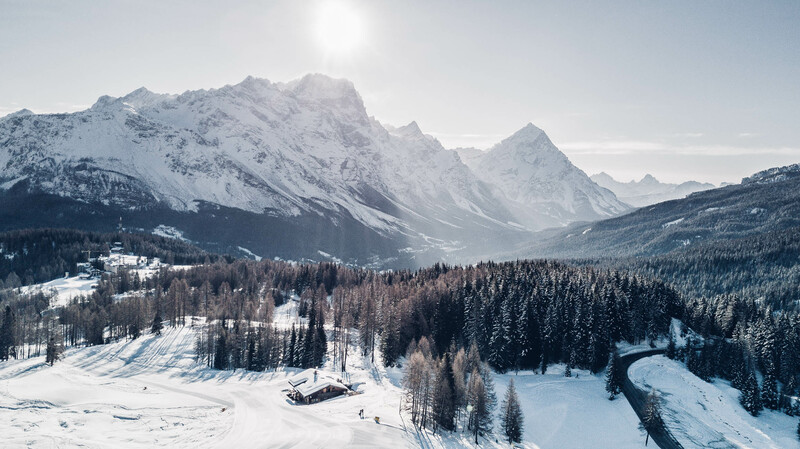 The 12 Best of the Alps destinations are located in France, Switzerland, Austria, Germany and Italy in different parts of the alps. Our trip focused on 4 destinations in the Austrian, Italian and German alps. Our route through the Best of the Alps! 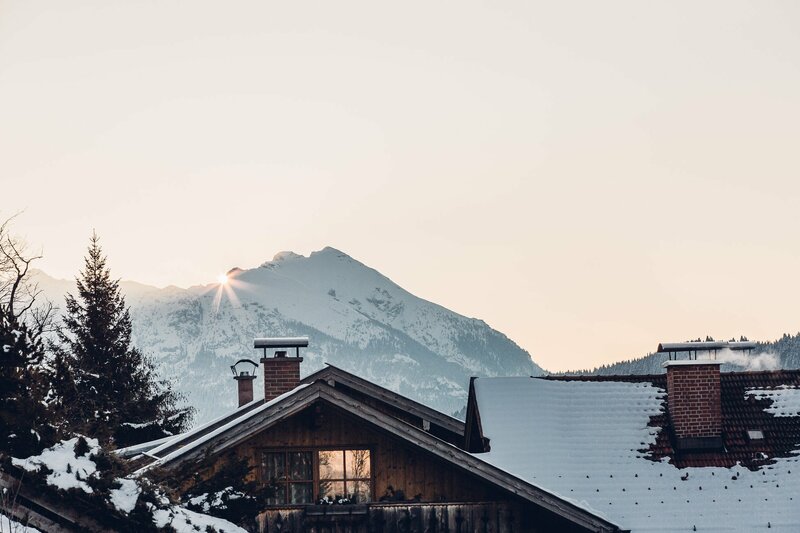 When it comes to Kitzbühel every Austrian has definitely heard about it, seen it on TV and has some ideas about the destination. 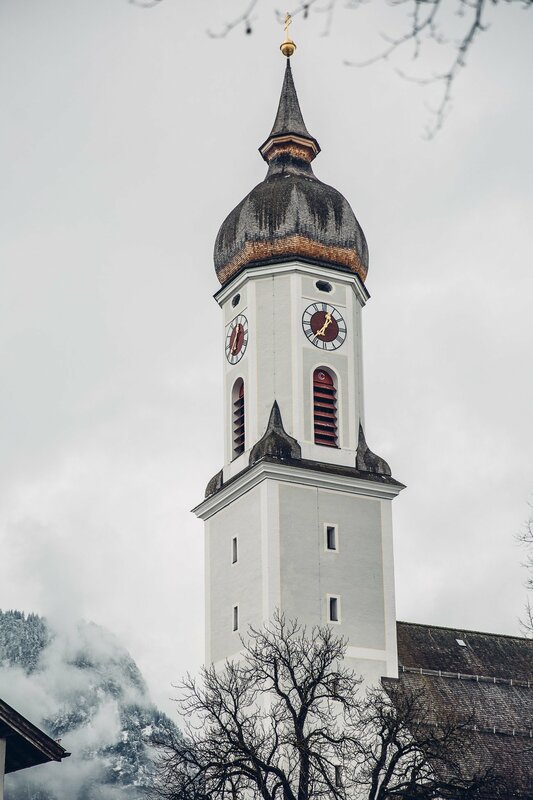 The town is mostly known for it’s annual “Hahnenkamm race” (a world-famous skiing race) and for the glitz and glam that comes along with such an event. The town of Kitzbühel with it’s three distinctive church towers. Personally we have only been to Kitzbühel once for a summit, which didn’t really let us experience the town or the alpine offerings. 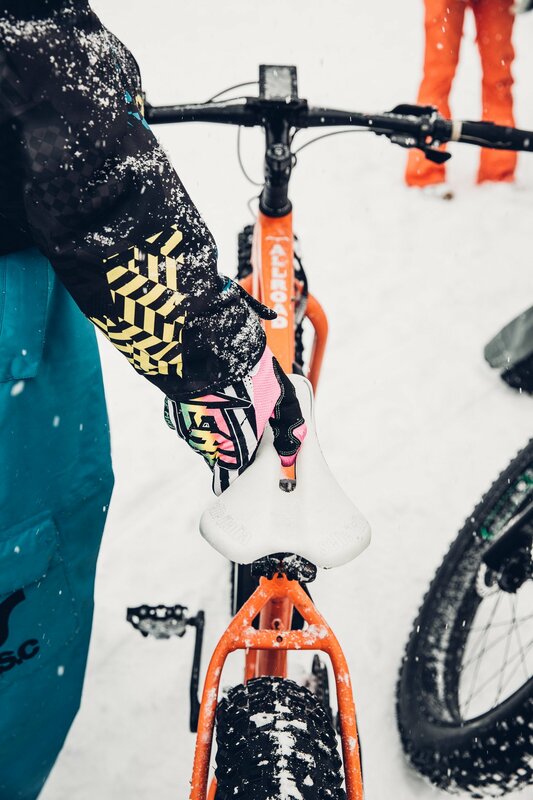 As this kind of visit doesn’t really count, we’d say this was our first time in Kitzbühel! 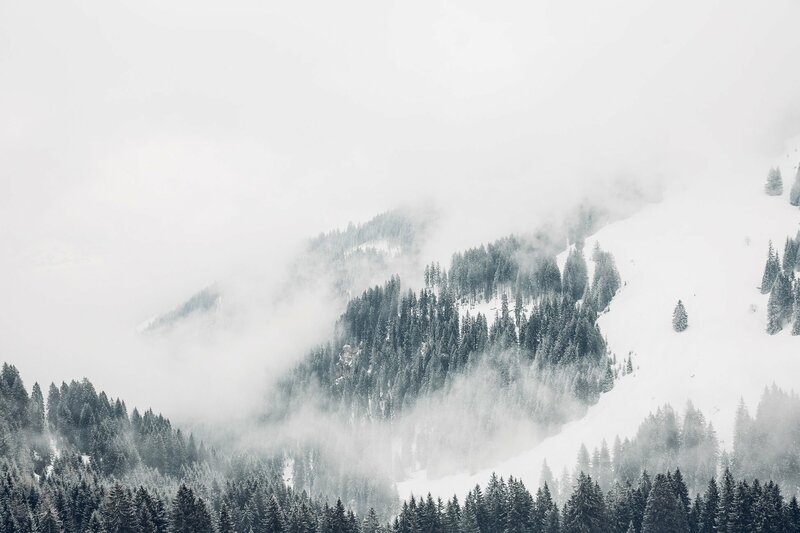 From all the 4 destinations we visited Kitzbühel was probably the unluckiest one when it comes to the weather. When we arrived it was late in the afternoon and what was a sunny day had already passed. The same evening it started to snow heavily and all the surrounding mountains where covered in a thick layer of clouds – so we didn’t get a clear view of the alpine area. And the snow didn’t stop until we had to leave two nights later! 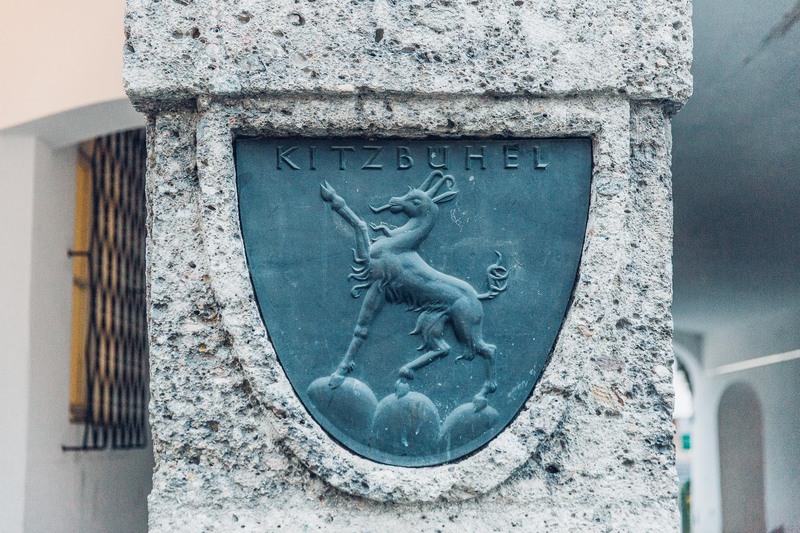 The symbol of Kitzbühel is the chamois! But that doesn’t take away from the flair of Kitzbühel, you can feel that it’s a mundane skiing resort. The pedestrian area in the center of the village is lined with elegant shops and the facades are painted neatly in pastel colours. 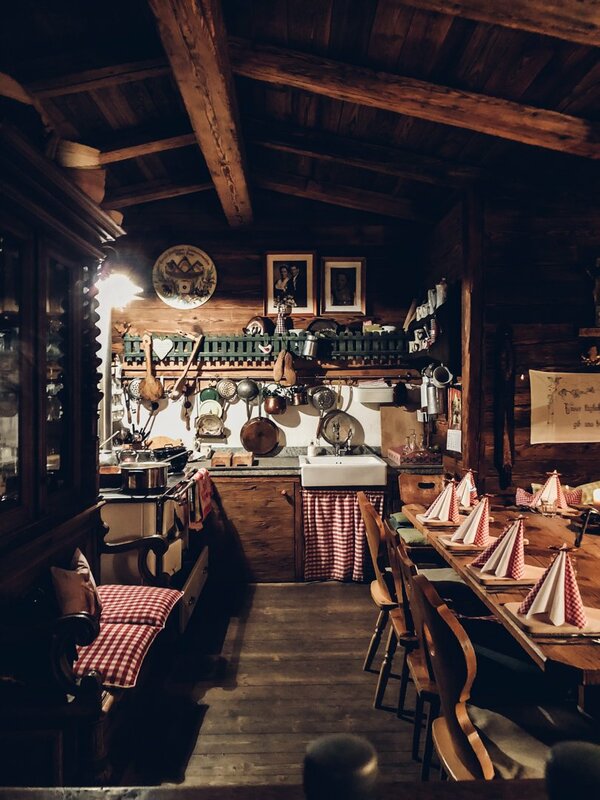 The highlight of Kitzbühel was definitely the dinner at the so called “Backhäusl“. This intimate location can only be rented for groups of maximum 10-12 people. We were absolutely pampered by host Sabine. 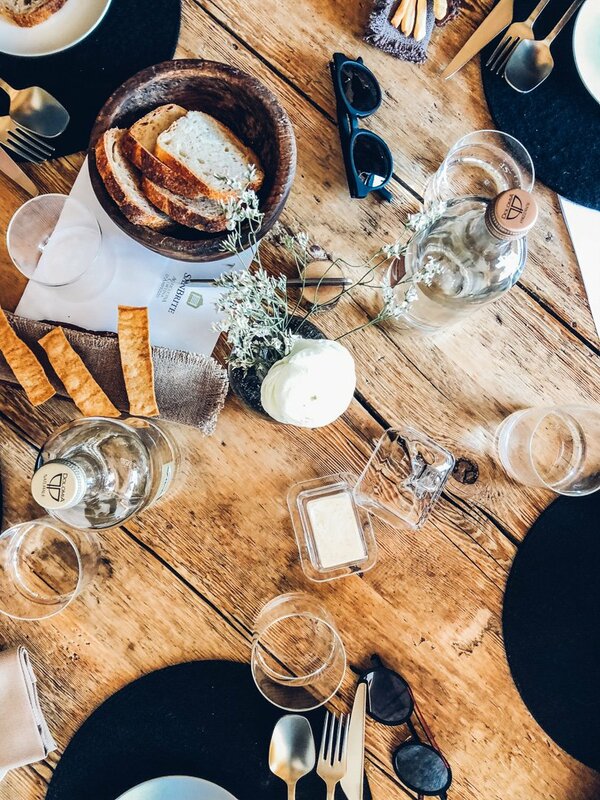 The florist by trade transformed this small wooden hut into her personal culinary temple. When she serves her hot cheese dumpling soup our whole group stood up in awe (well and to take photos obviously) 😉 It tasted like pure heaven! I swear that I never had such a delicious (vegetarian) soup before. The Backhäusl in Aurach, Kitzbühel. Sabine cooks and serves all the food here personally. It’s all handmade and feels like visiting a private home! 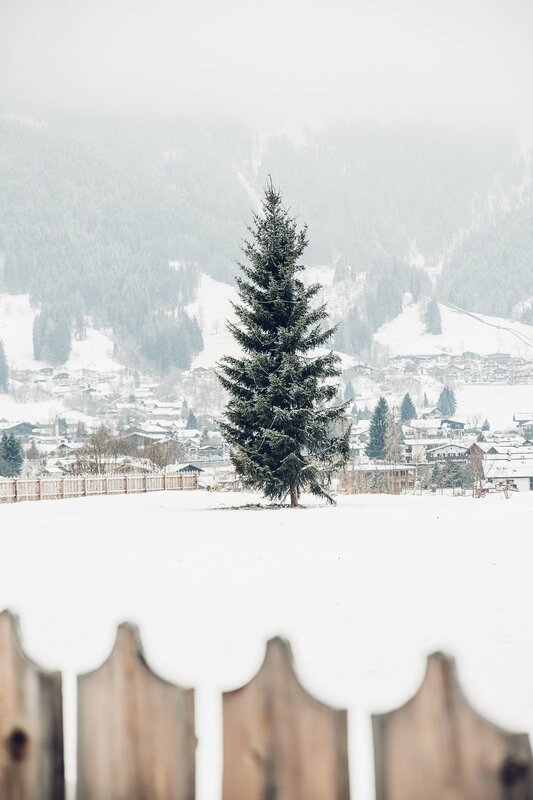 To summarise we would say Kitzbühel is a great combination for guests who are looking for traditions, that are kept alive and a mundane lifestyle at the same time. 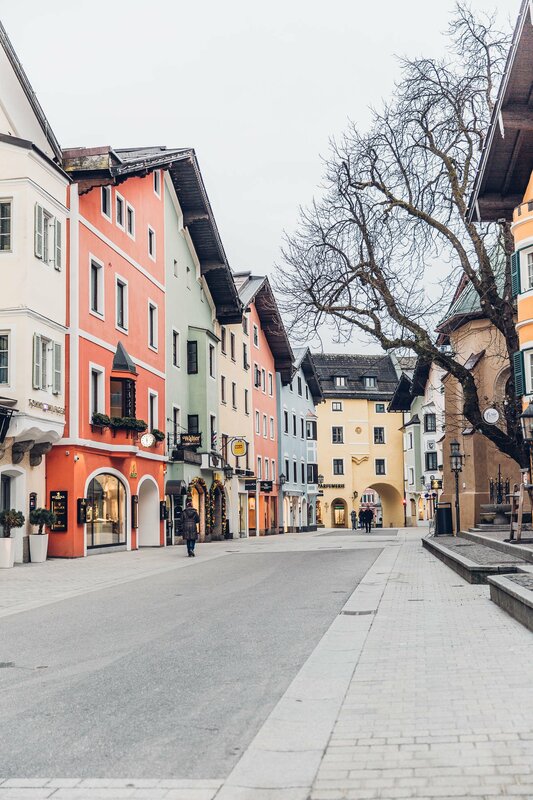 Kitzbühel is the perfect place to visit a traditional clothing factory, that has been transformed into an international luxury brand – like Kaspar Frauenschuh. 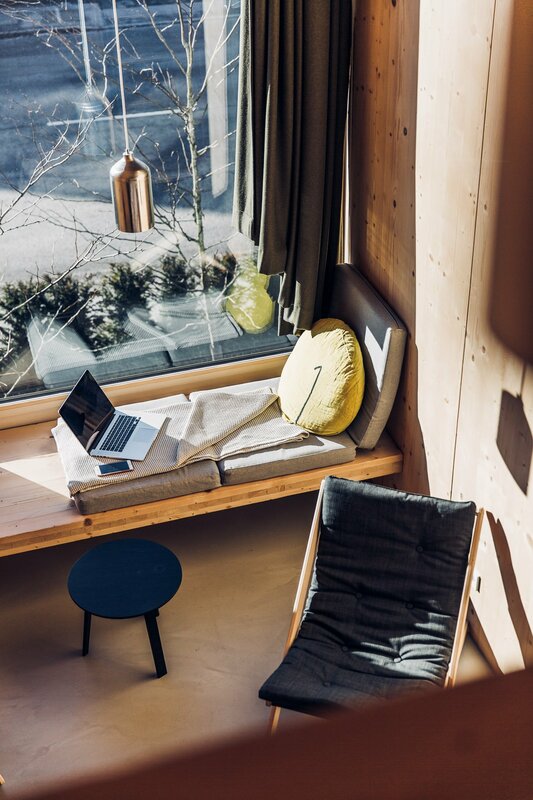 He still designs everything in the small village of Kitzbühel, but obviously in a very modern atelier building. 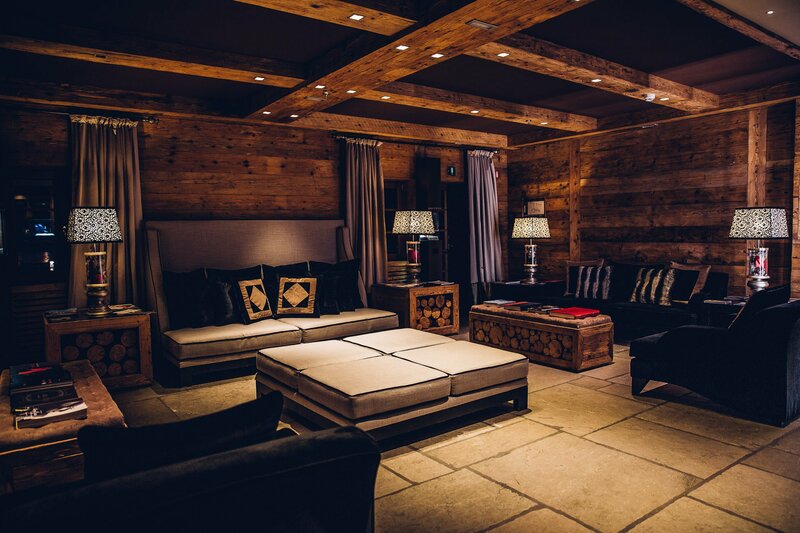 Kitzbühel is also the right place to go skiing during the day on slopes used by the most prestigious ski professionals in the world and eat a very Austrian lunch in a rustic hut, but then relax in a luxury spa in the late afternoon followed by a fantastic dinner at Gebrüder Winkler’s new restaurant at the Auwirt . 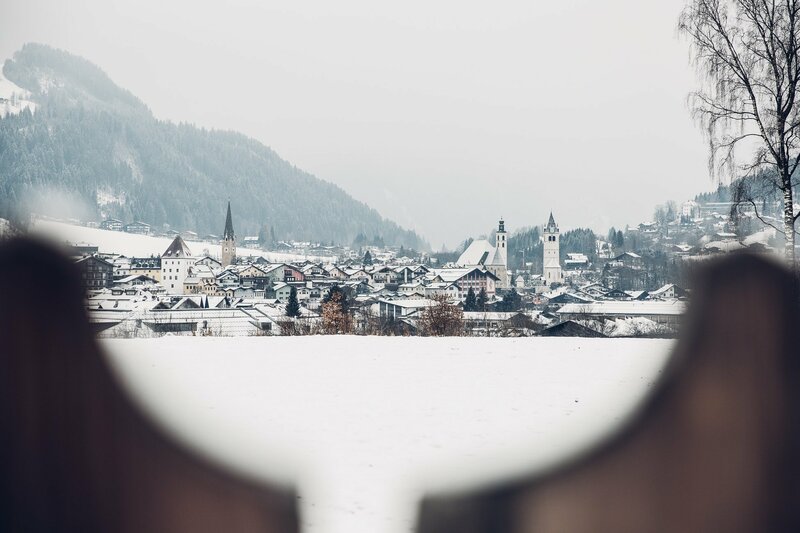 The ideal traveler type for Kitzbühel: City people, that love the nature, but don’t want to give up on all sorts of comforts (including champagne bars and luxury shops). Our second road stop Cortina d’Ampezzo is completely different. We only spent one night in the Italian skiing resort, but got a sense for the destination quickly. The city boasts a proud heritage as olympic winter games venue from 1956. And you can still sense this heritage everywhere! 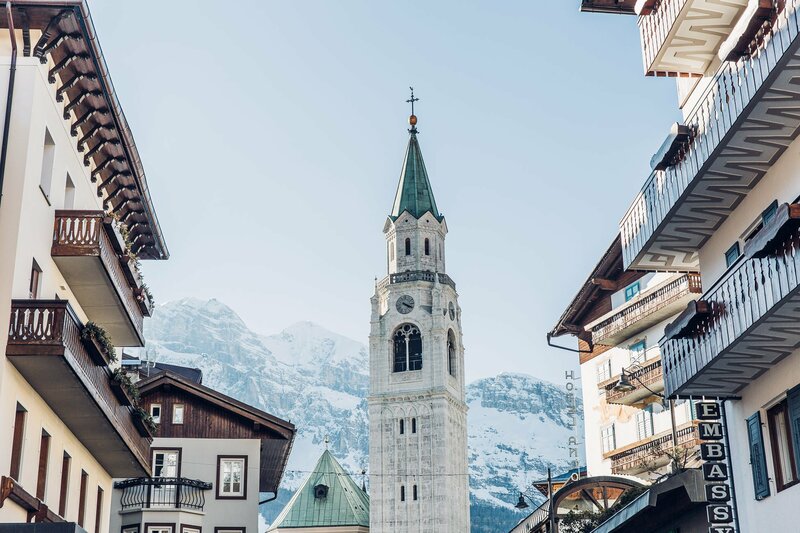 The view of the “Basilica Dei Santi Filippo e Giacomo” as seen from the Corso Italia in Cortina. 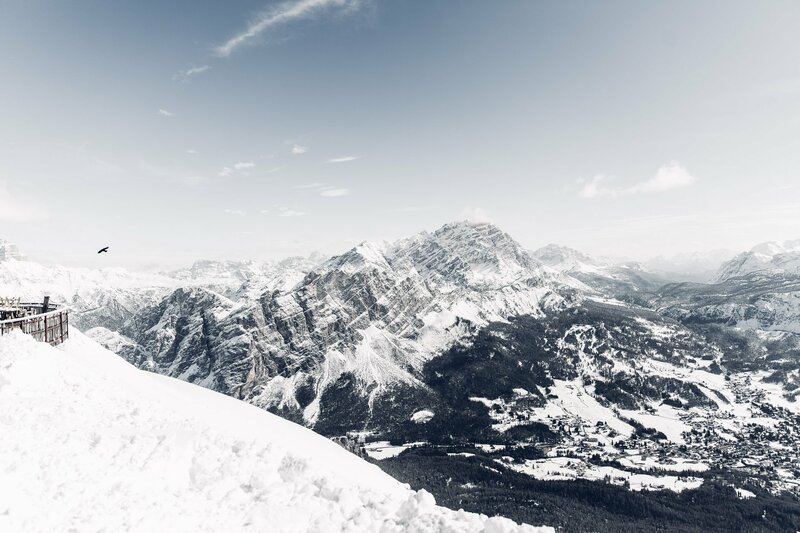 Since Cortina will also host the ski world championships in 2021 this tradition is coming back alive again – this time with a strong focus on sustainability. 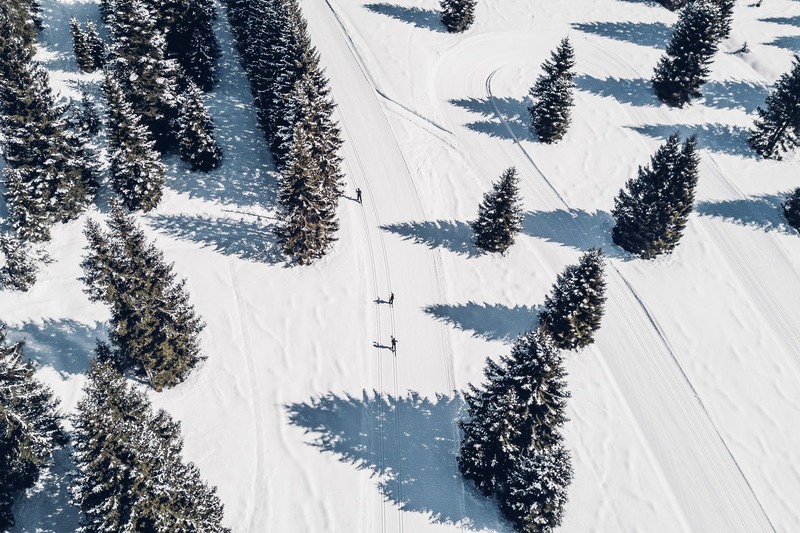 Although winter sports is hardly a very eco-friendly activity, they are trying to create the “greenest” version of it – by using renewable energy and other measures to safeguard the alpine ecosystem. It will be interesting to see what kind of measures will be undertaken to keep this promise! View from the Tofana on the surrounding Dolomites and down on Cortina d’Ampezzo. Without any olympic ambitions, we also tried some winter sports here! 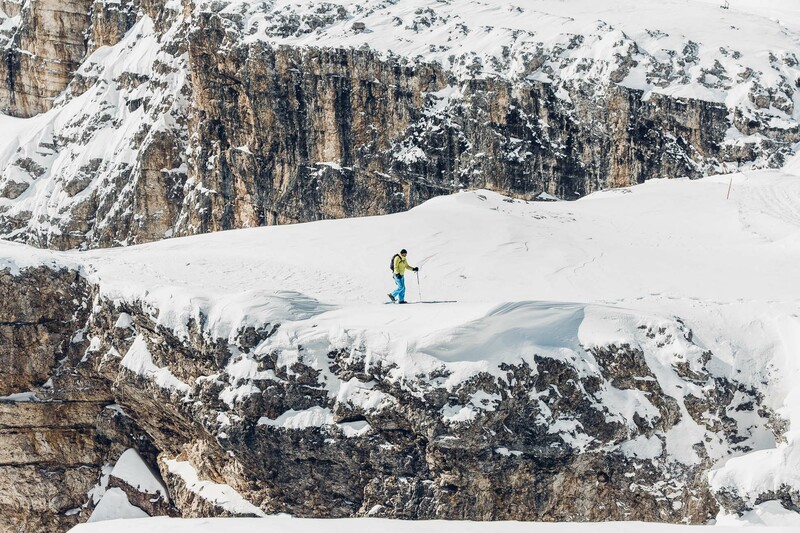 Cortina is part of the Dolomiti Superksi arena – with a huge offering of slopes and ski regions – all combined with one single ski-pass. 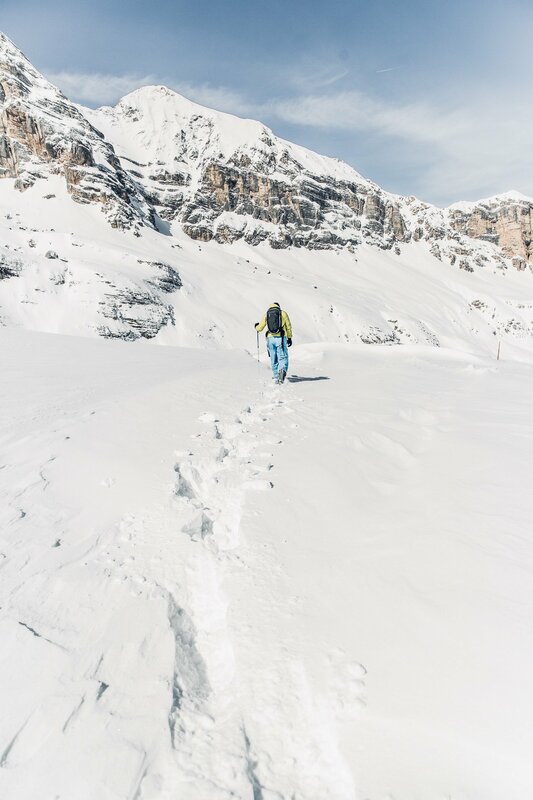 In one day it’s impossible to get a sense of the vastness of the area, but we got great views of the Dolomites while snow shoe hiking up at the Tofana with local guide Mario (who had previously climbed mountains such as Mt. Everest and K2, so the Dolomites are small hills for him). When we arrived up at the Tofana the thermometer showed -14 degrees Celsius and it was a rather windy day to top it off. 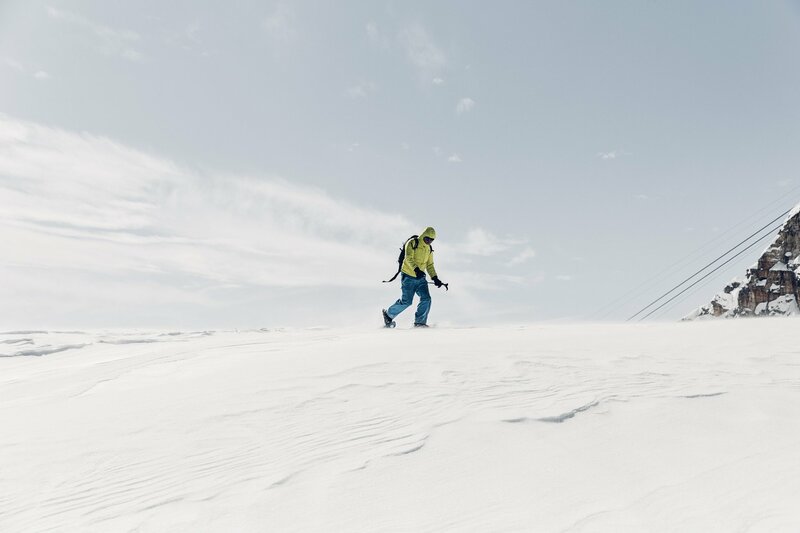 Our Brazilian colleagues were not prepared for these temperatures and had to cancel the snowshoe hike 🙂 But we as well-trained Austrians confronted the cold and went on to discover the area. -14 degrees Celsius and heavy winds made our hike rather adventurous! But the views made up for the freezing temperatures! 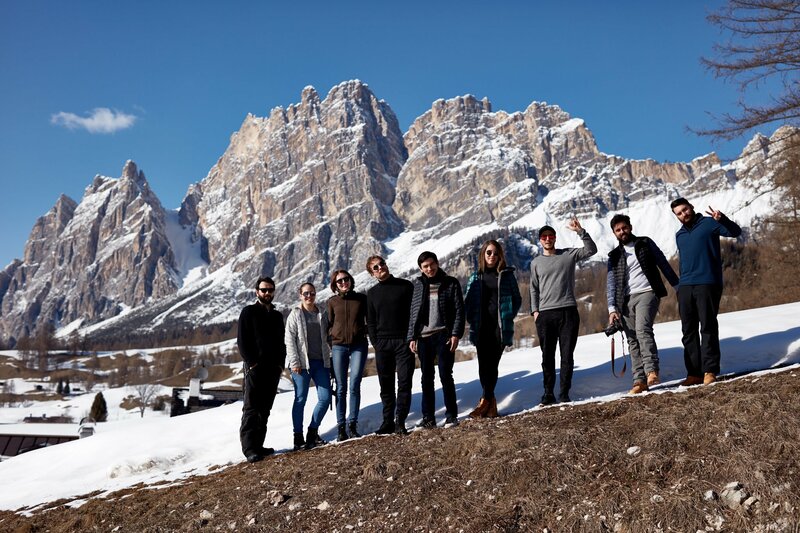 Cortina d’Ampezzo also showed us it’s more adventurous side. 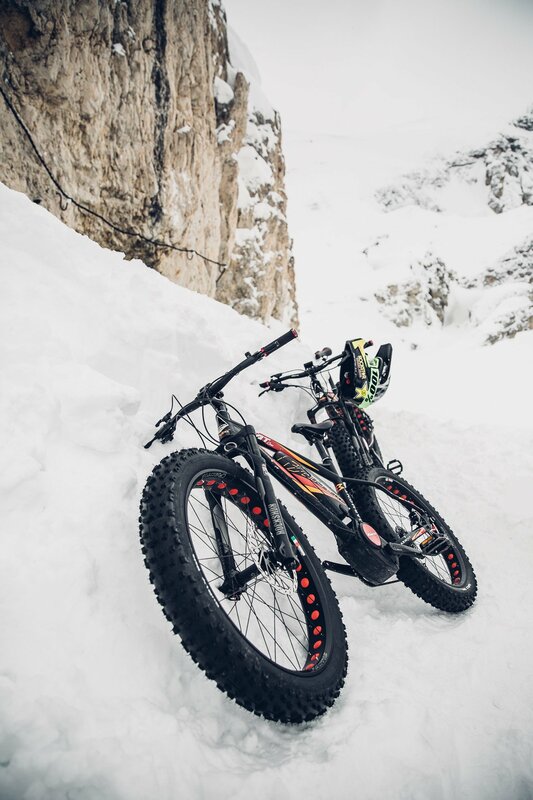 We got to experience a fatbiking tour on the slopes up at the Passo Falzarego. 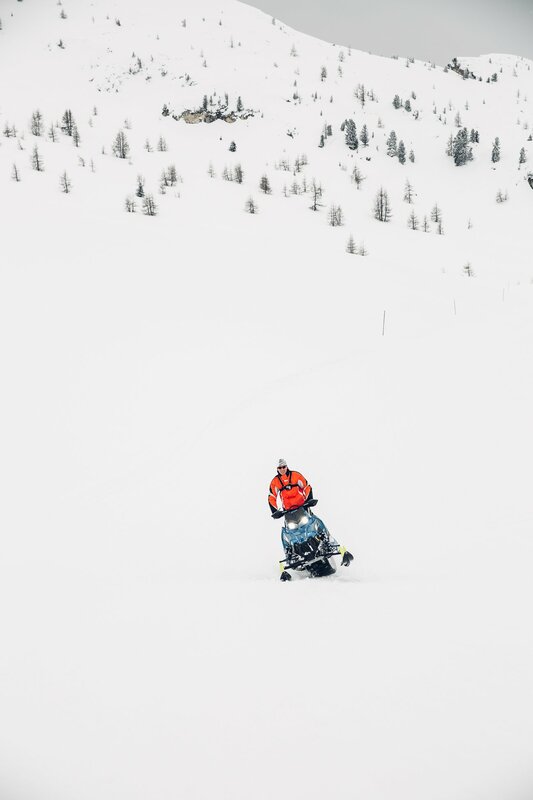 To get up to the pistes we were transferred on snowmobiles, which proved to be the easiest part of the ride. 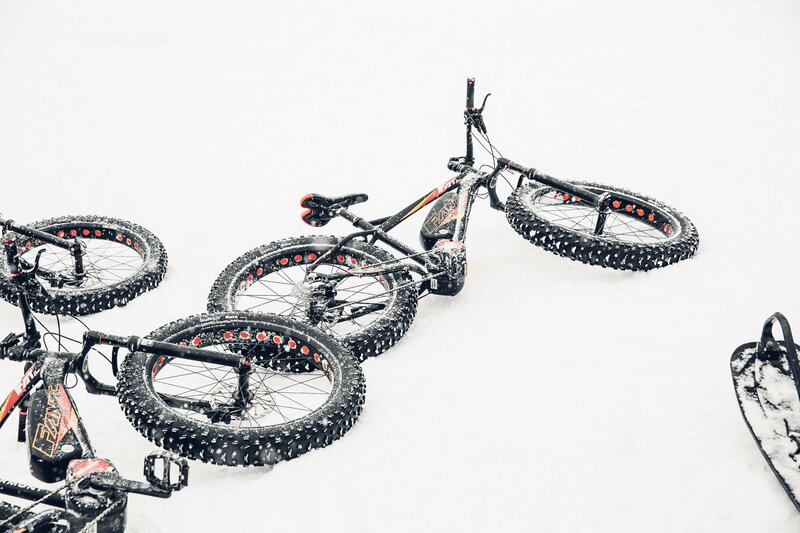 Both of us have quite different skill levels when it comes to bikes… While Raffael used to ride BMX and is super used to doing tricks and jumps, I am more of a city bike type of person (to put it nicely 🙂 ). 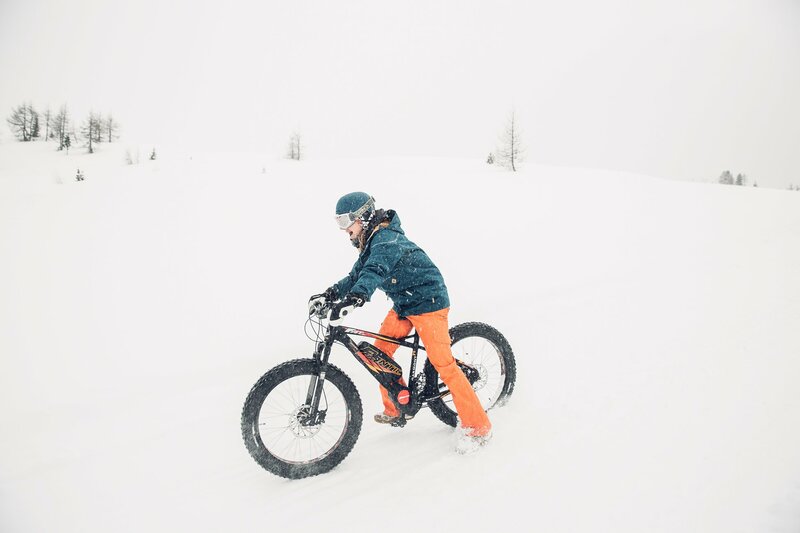 Now we didn’t really know what would expect us, but riding down a bike on snow is the opposite of easy. 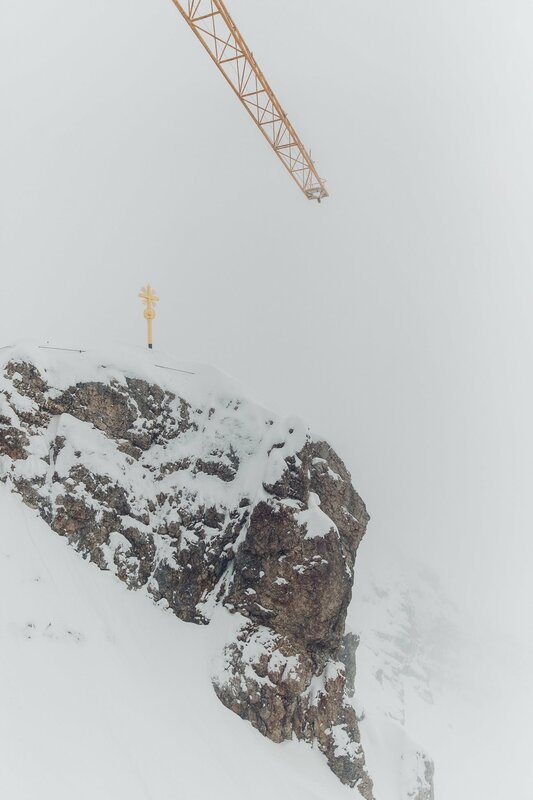 There would be a lot more to tell you about Cortina, but the word count of this post is rapidly climbing up. 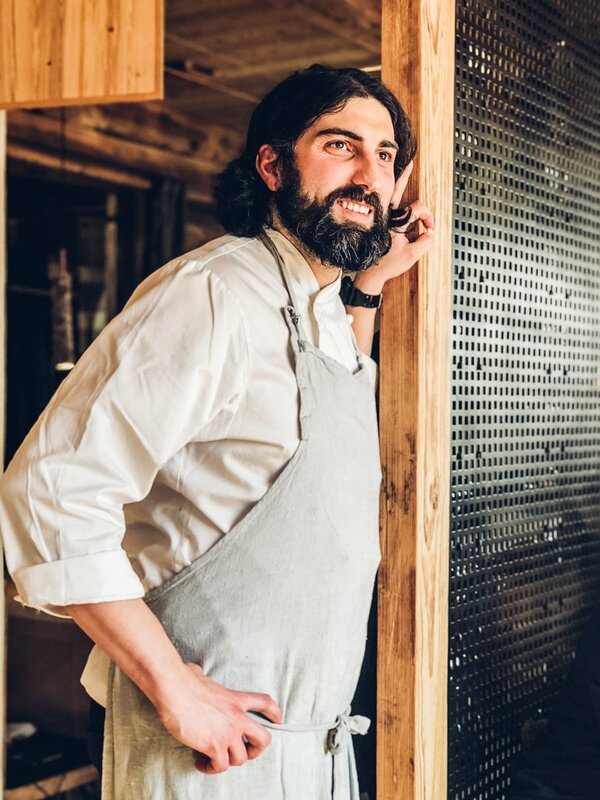 To summarise: Next to all the winter sports activities we also enjoyed dinner with former skiing superstar Kristian Ghedina (who’s probably the funniest German-speaking Italian skiing star ever). 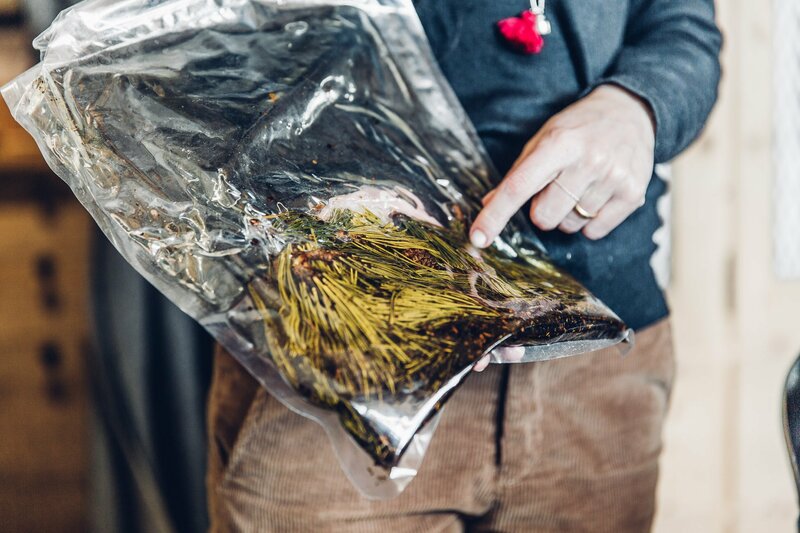 And the next day we had the best lunch of the whole tour at San Brite (which would actually be worth a separate blogpost – I mean just to give you a taste: They put pine needles in oil to create a pasta dish, that tastes like the woods itself). 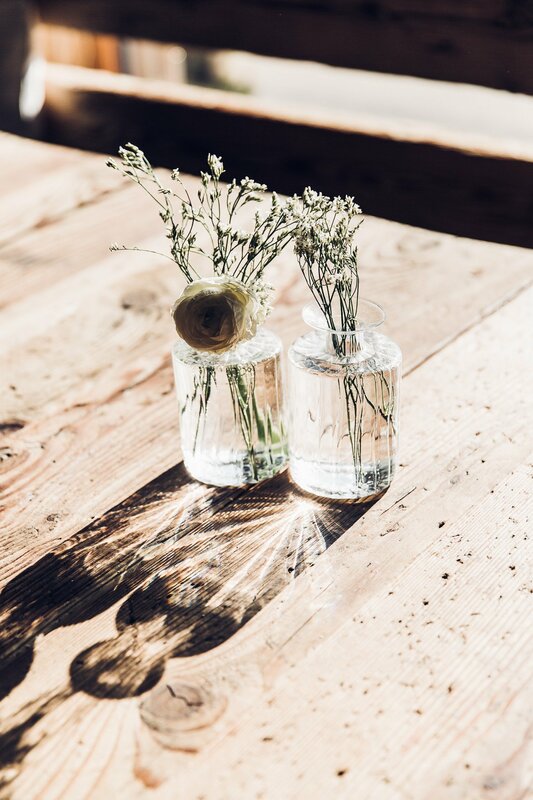 San Brite isn’t only a feast for the taste buds, but also for the eyes. A must stop when in Cortina! 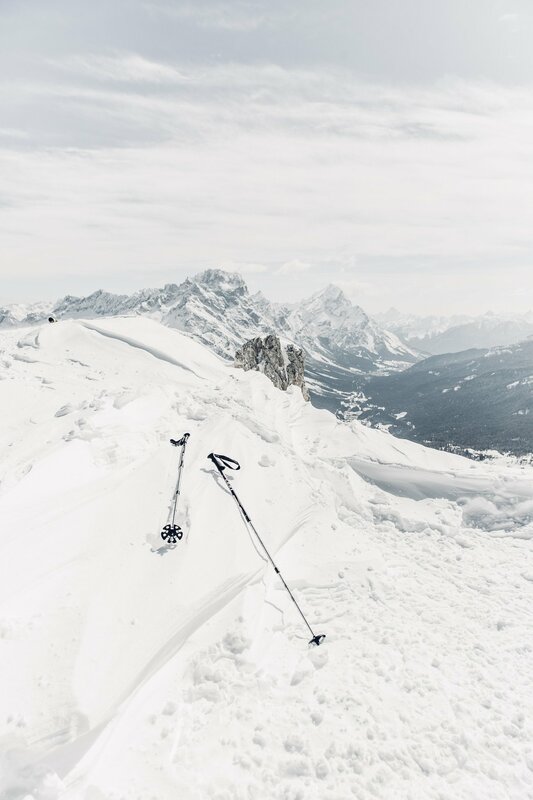 The ideal traveler type for Cortina d’Ampezzo: Mountain lovers who appreciate steep cliffs and want to eat properly cooked Pasta after an action-filled day. Is this post already getting too long? 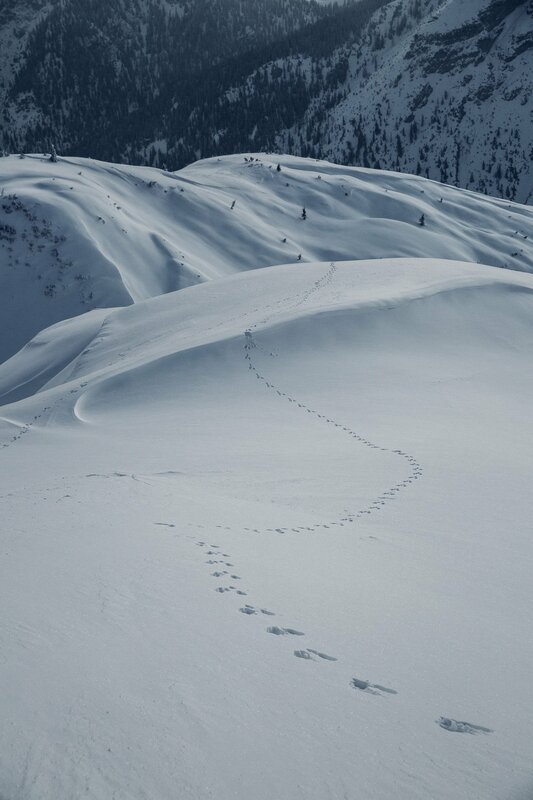 Well, you’ll have to bear with us – there’s two more destinations we visited during our Best of the Alps tour. Next up: Beautiful Seefeld in Tirol. Why do we mention it’s beautiful? Well, we witnessed the most amazing sunrise of the whole tour here! 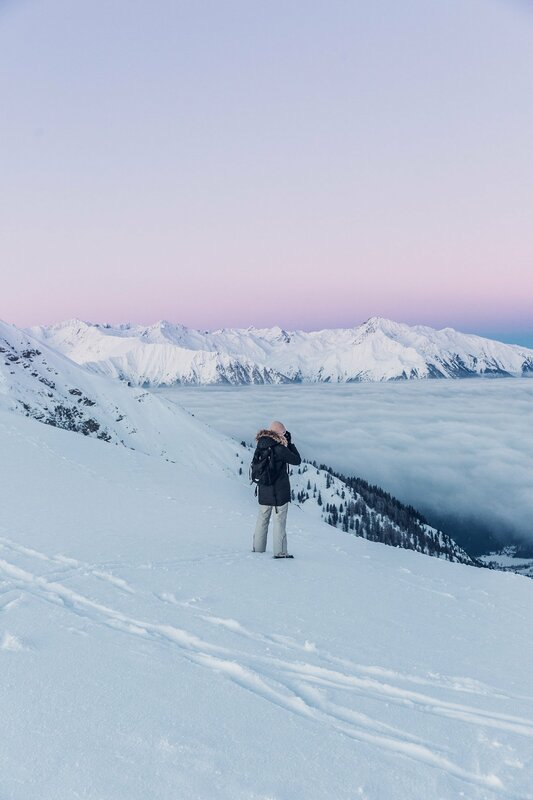 This sunrise over Seefeld in Tirol was definitely the highlight of the tour! I know, I know – it’s easy to impress a photographer with a sunrise. But in fact, it wasn’t that easy – because the lovely people of the tourism board of Seefeld opened their cable car specifically for us to get us up there ahead of the usual opening hours. 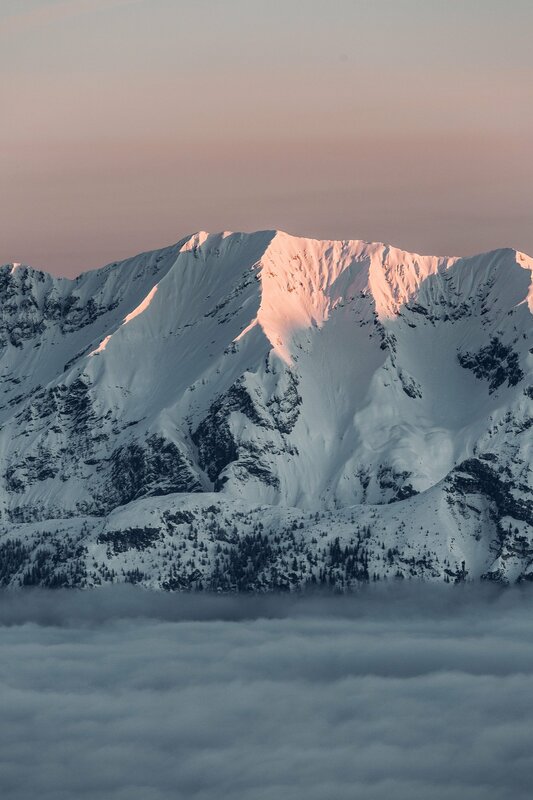 (Unfortunately) that means, if you want to experience this sunrise location you either have to bribe the tourism board or hike up there (sorry 🙁 ). So let’s get to something else, which you can actually really do easily here as a visitor: Cross country skiing. 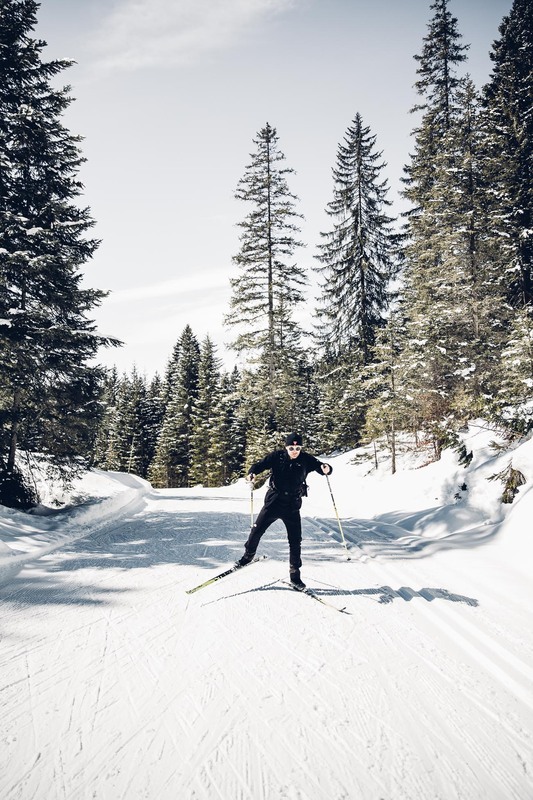 Cross Country Skiing at Wildmoos in Seefeld – a perfect combination of action and meditation. But now we know this was such an unfair judgement. And 100% truthfully spoken: We loved, loved, loved it! 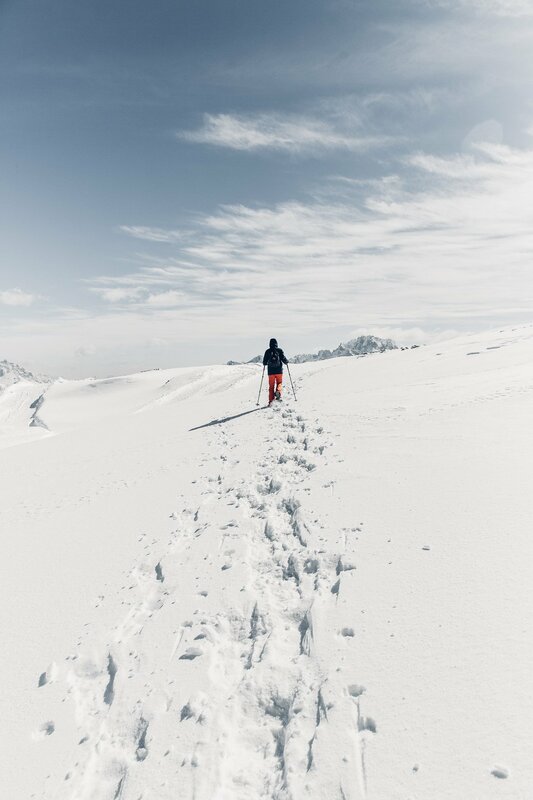 Cross country skiing is easily the most presence-inducing, meditative and equally physically challenging sport ever. 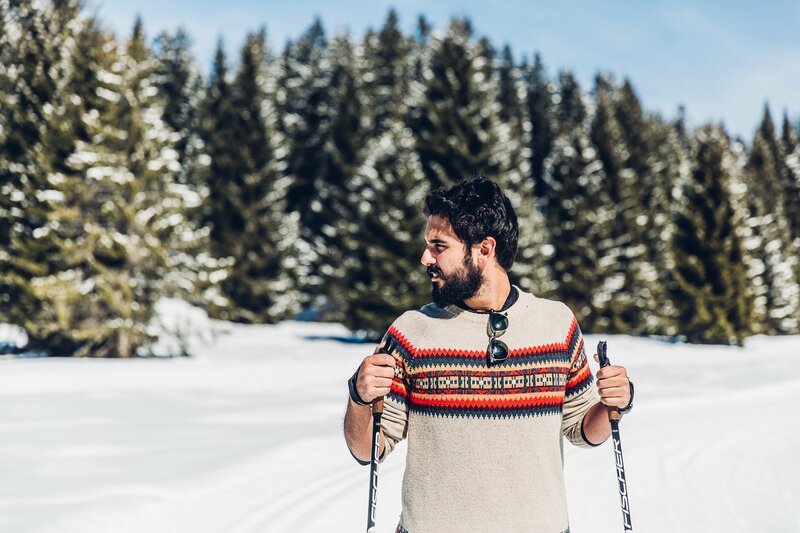 Cross Country Skiing is creating a new hype – just like hiking did 10 years ago! 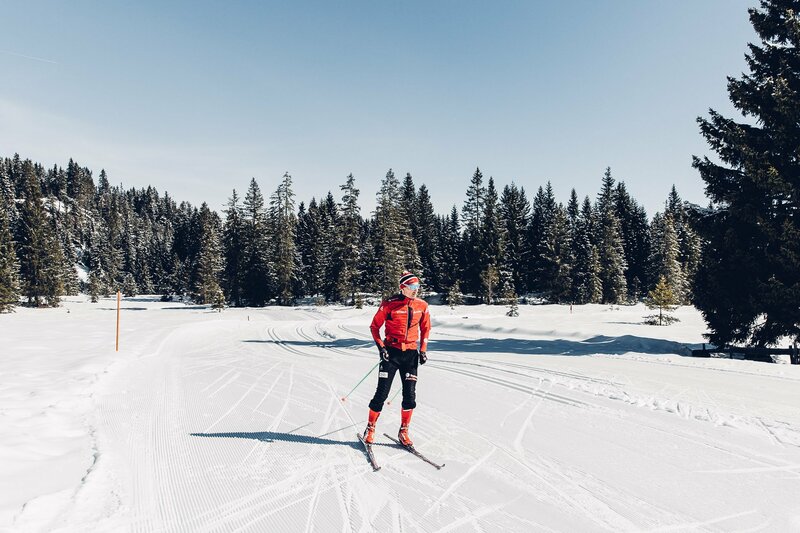 To be honest: We got lucky and had the most amazing weather the day we went through one small part of the nearly 300 kilometres of prepared cross country slopes Seefeld has to offer. 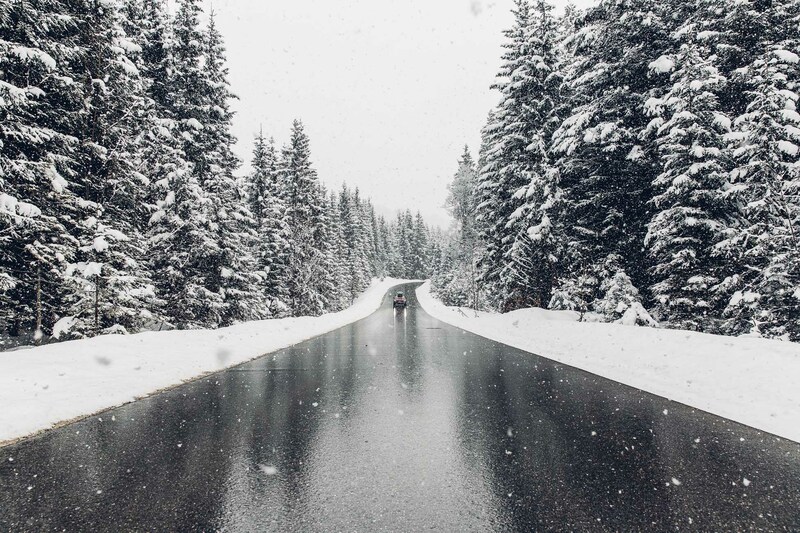 With this weather the experience felt like a pure winter wonderland vacation. 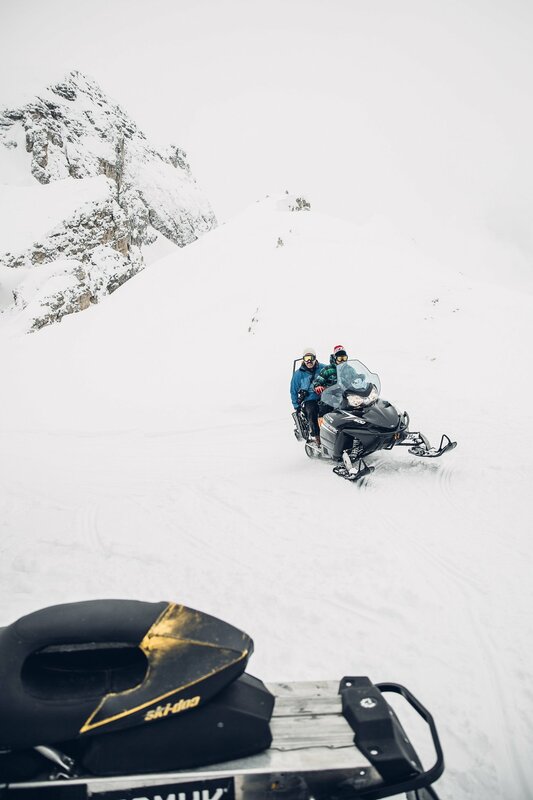 While we both had to get out of multiple layers of clothing (believe us, you’ll get hot during this activity fast), we felt how every muscle is used while silently gliding through the most amazing landscape. 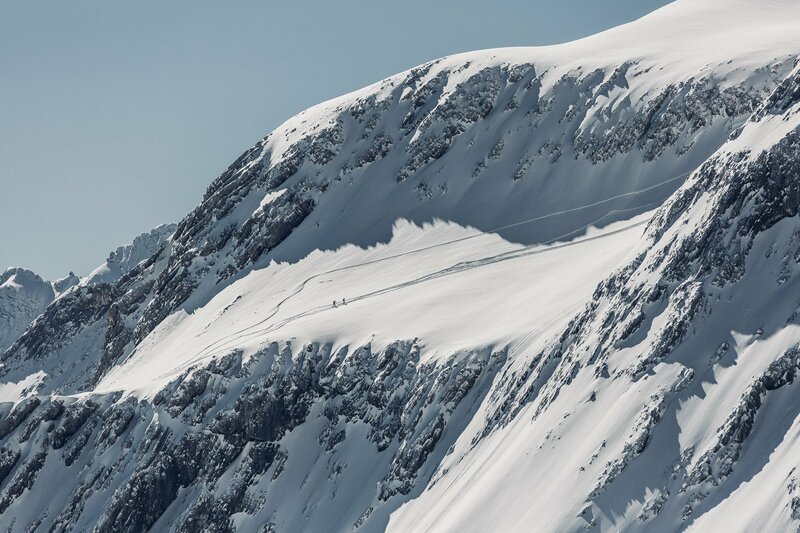 The cross country slopes of Seefeld are internationally renowned to be the best in the world! So, we will definitely come back to Seefeld for a cross country skiing vacation and to explore more of what the destination has to offer. 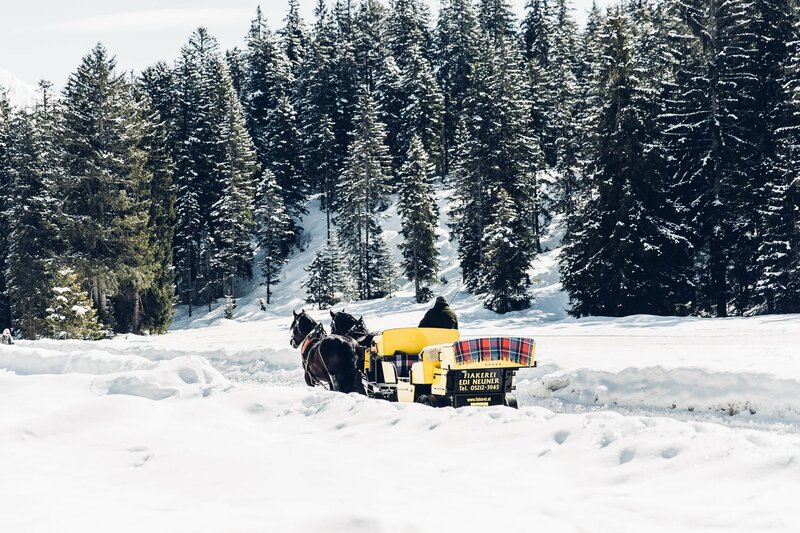 Next time we have to get one of those horse carriage rides through the meter high snow at Wildmoos or visit the highland cattle at Zottlhof. 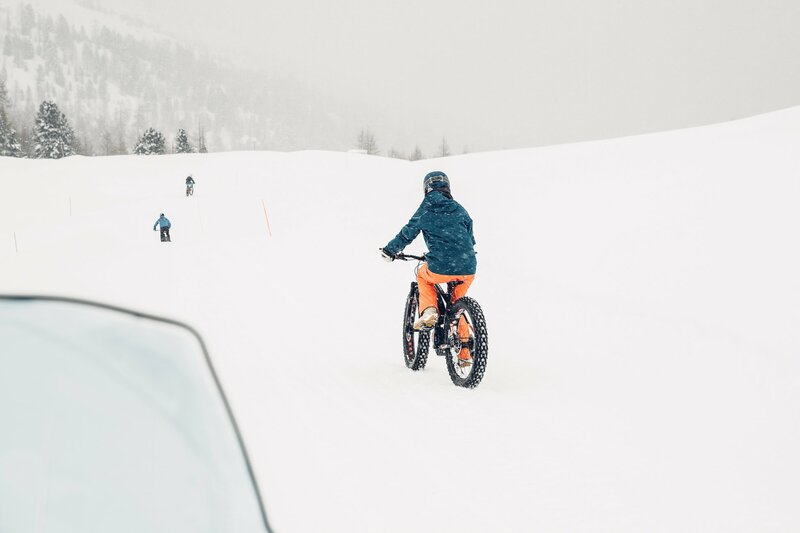 The ideal traveler type for Seefeld: City people who need a break from the noise and get to feel their mind and body again while being active. Last but not least we crossed the border to Germany to arrive in what used to be two separate towns, that have been united by the fate of history (and against the will of most inhabitants). You can still feel this separation today. There’s two city centres with two very different aspirations. 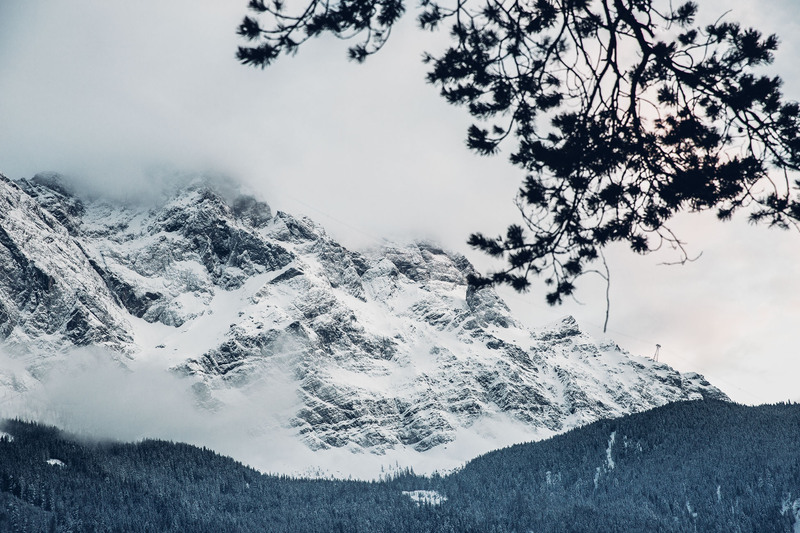 Garmisch-Partenkirchen is surrounded by the German Alps – most prominently Germany’s highest mountain Zugspitze. 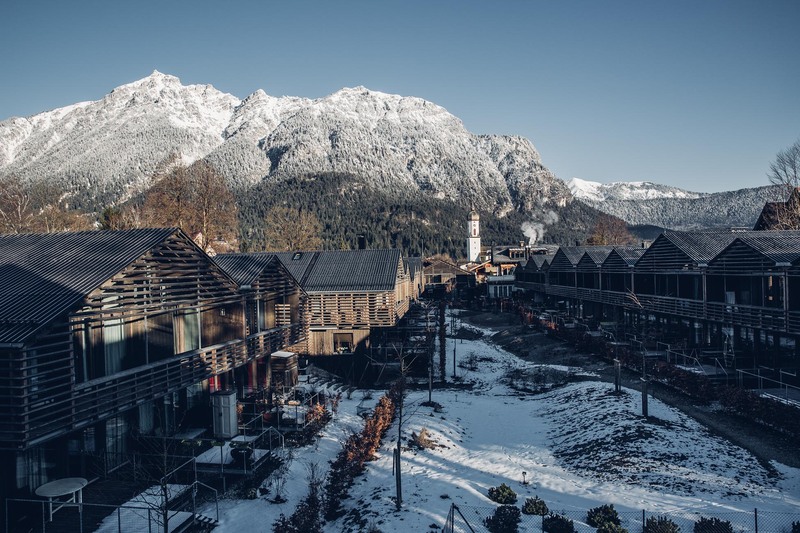 While Garmisch wants to be mundane and exquisite (while still incorporating the roots of the village), Partenkirchen focuses on traditional manufacturing and handcrafts and felt more authentic to us. As a tourist it’s actually nice to discover both sides to the story. 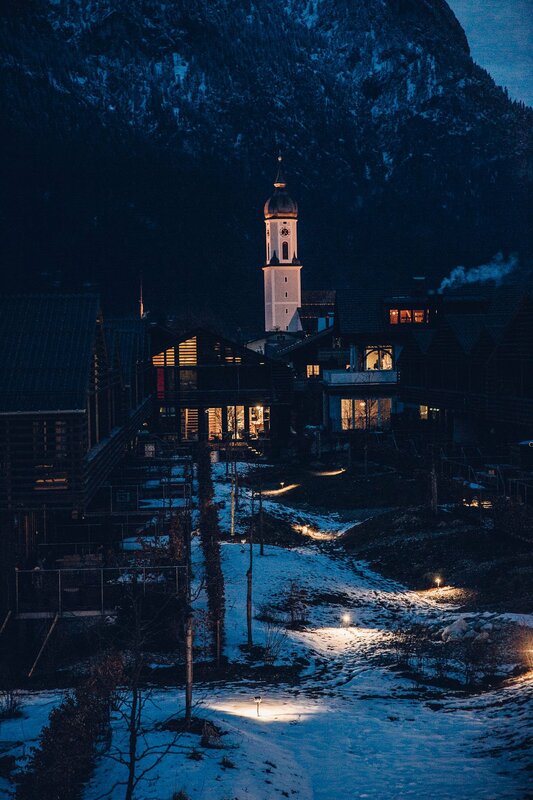 Garmisch-Partenkirchen boasts with traditions, but also with modern architecture! 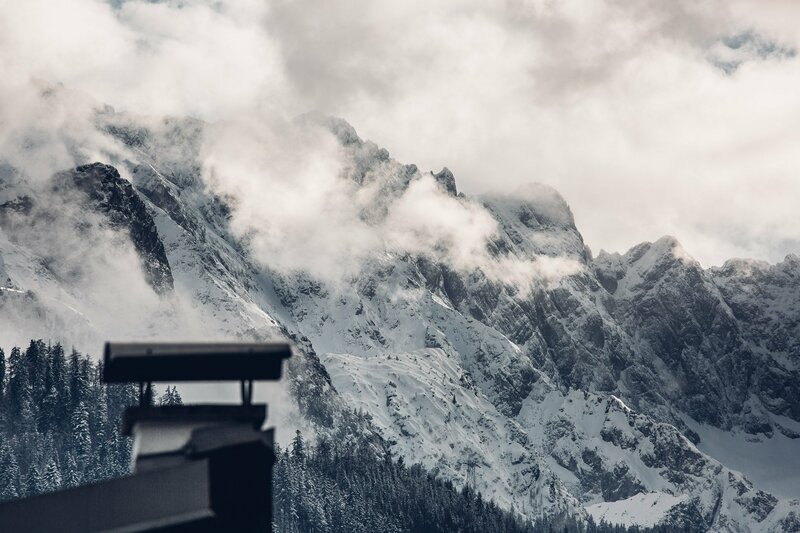 A highlight of a stay in Garmisch-Partenkirchen is obviously to visit Germany’s highest mountain – called Zugspitze. Unfortunately we didn’t get lucky and the whole mountain was covered in clouds when we went up. So we used the complete white-out for a snowball fight instead and then went down again. The next day we got lucky though – we had pure sunshine and blue skies! Fortunately we also got the chance to go up the mountains again – this time we took a different cable car to get up to Alpitze. 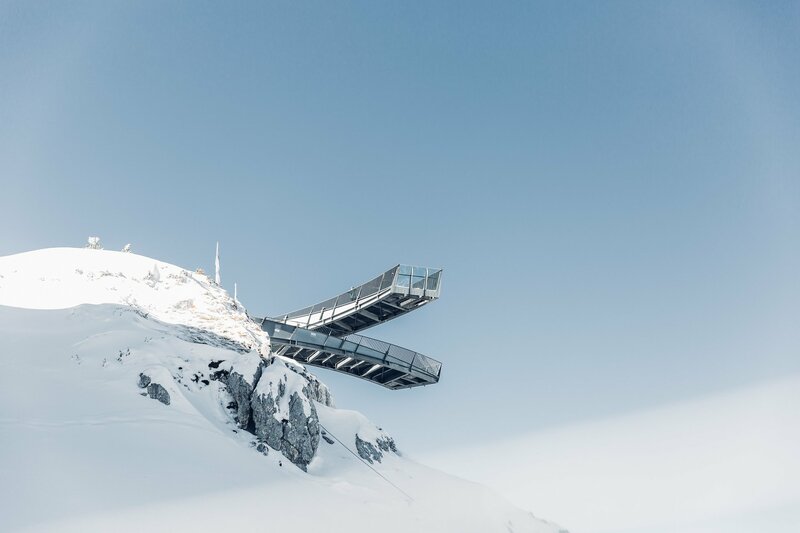 We would definitely recommend to go up there and check out the so called “AlpspiX” lookout platform. From this platform the cliffs fall of approximately 1.000 meters! 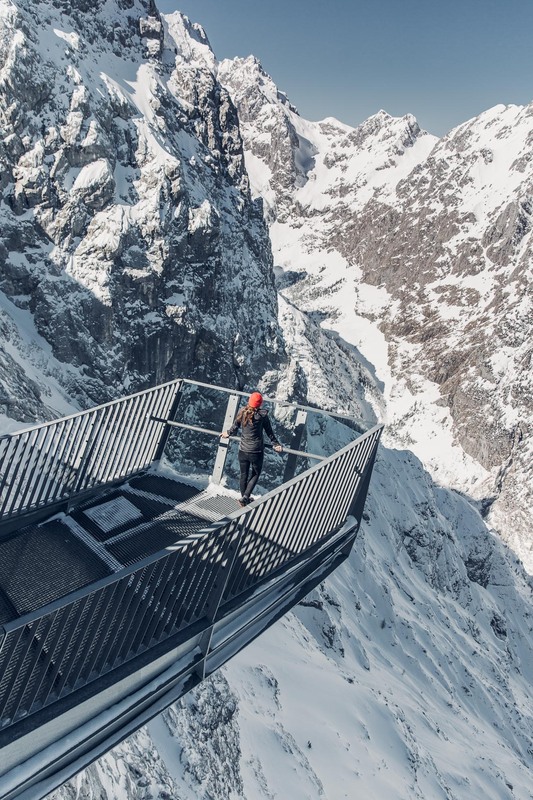 So this is definitely not for the faint-hearted… but the views are stunning! The AlspiX platform is built in a way that it can withstand high winds. This also means it moves quite a bit when you’re on it! 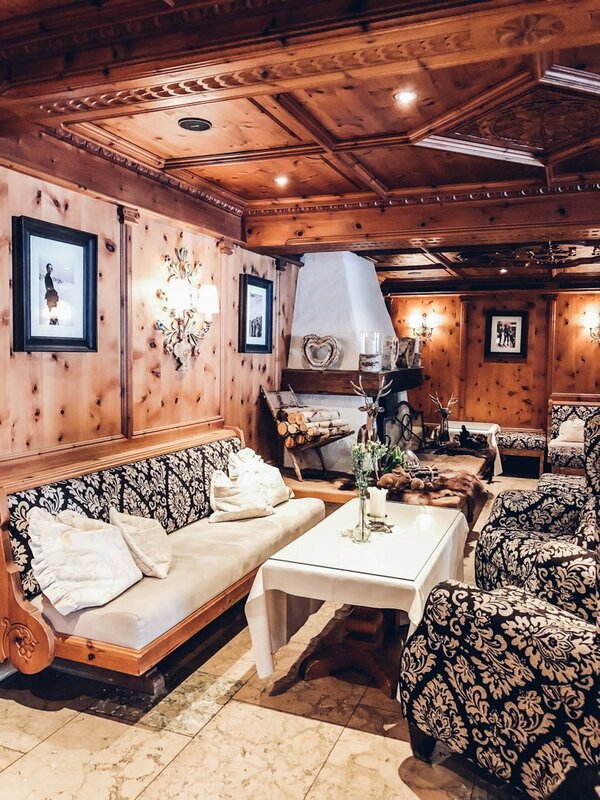 Our personal highlight of our stay in Garmisch-Partenkirchen was the hotel “quartier”. This – very much like the town itself – is comprised of two different parts. 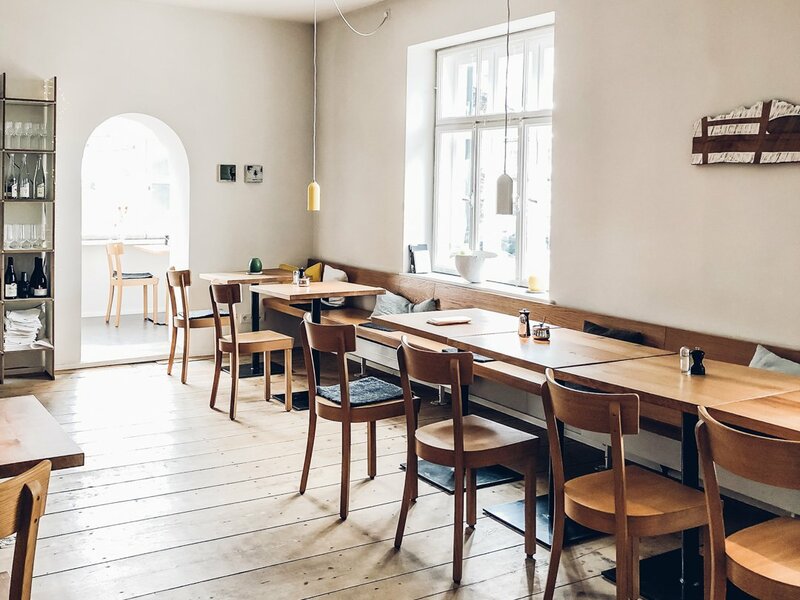 There’s the old building, that was gently restored to house the restaurant and then there’s the new part with it’s stunning contemporary all-wooden architecture. 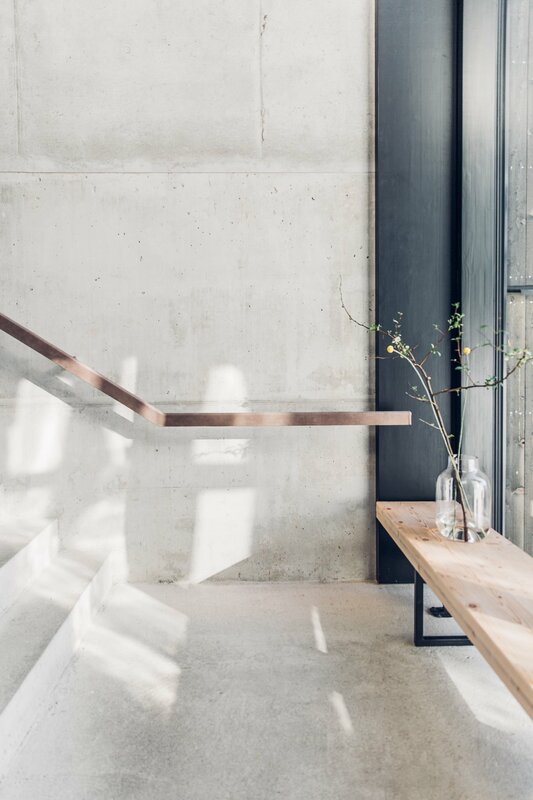 This hotel is definitely the right place for architecture and minimalism aficionados. 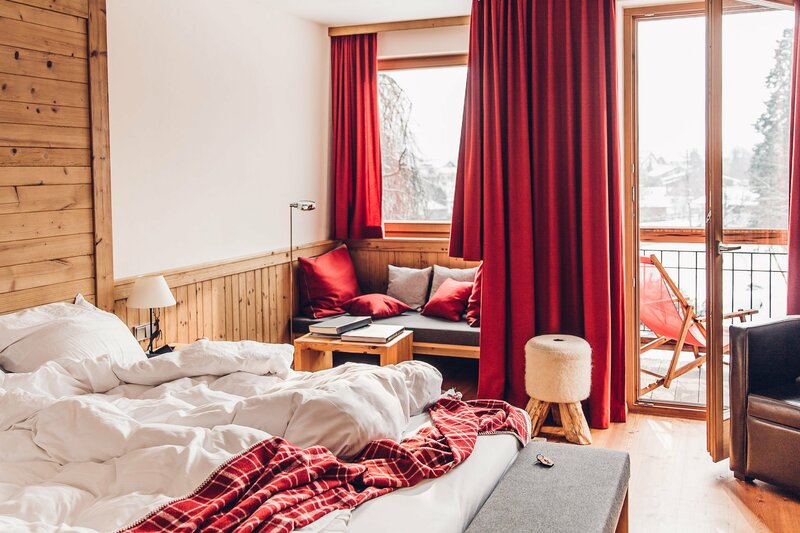 The ideal traveler type for Garmisch-Partenkirchen: To be honest – we can’t put the finger on this destination yet… There’s appealing mountain archicture and hotels, but we would need a little more time to sense who would be best suited for this alpine destination! 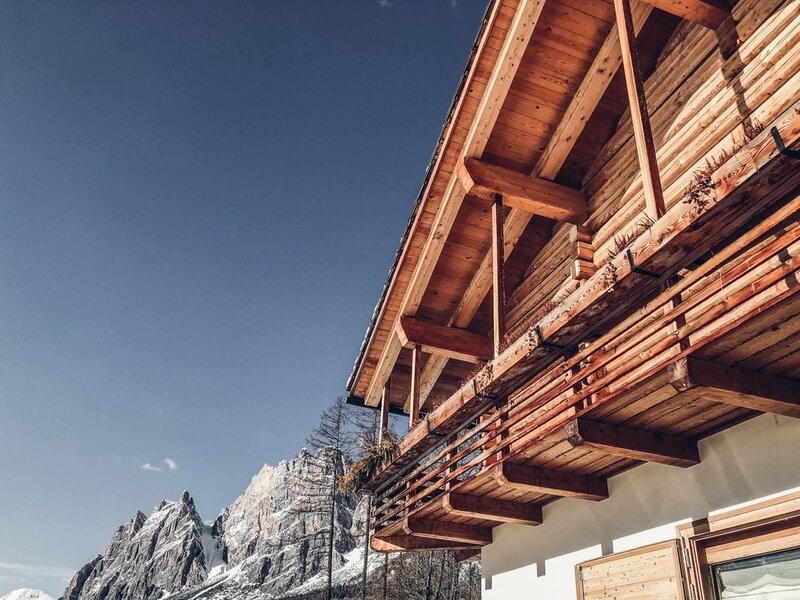 We loved the Italian flair of Cortina with it’s laid-back atmosphere and stunning Dolomite backdrop. 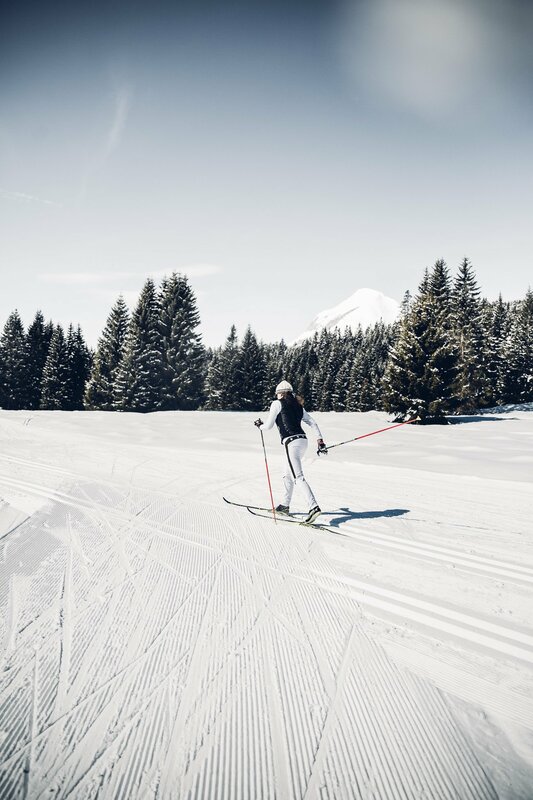 If we had to choose one destination to go back to it would still most likely be Seefeld in Tirol though, because we truly fell in love with cross country skiing! 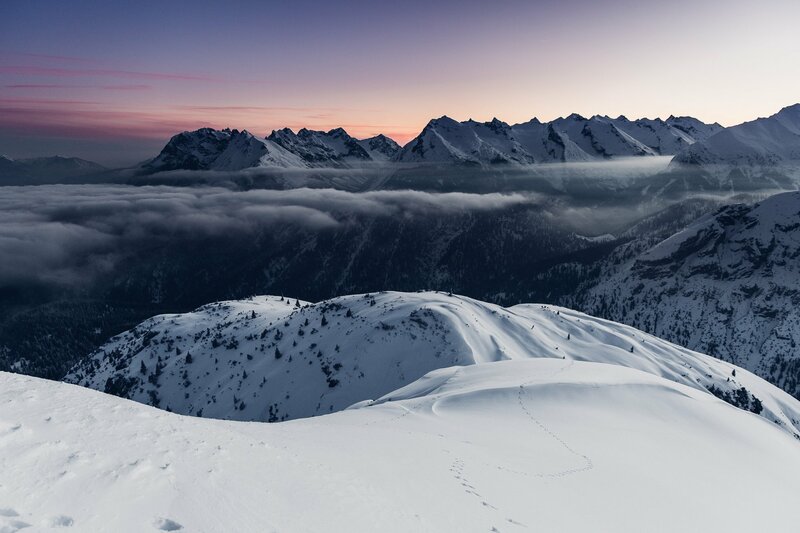 Seefeld won our hearts – with this sunrise and with cross country skiing. 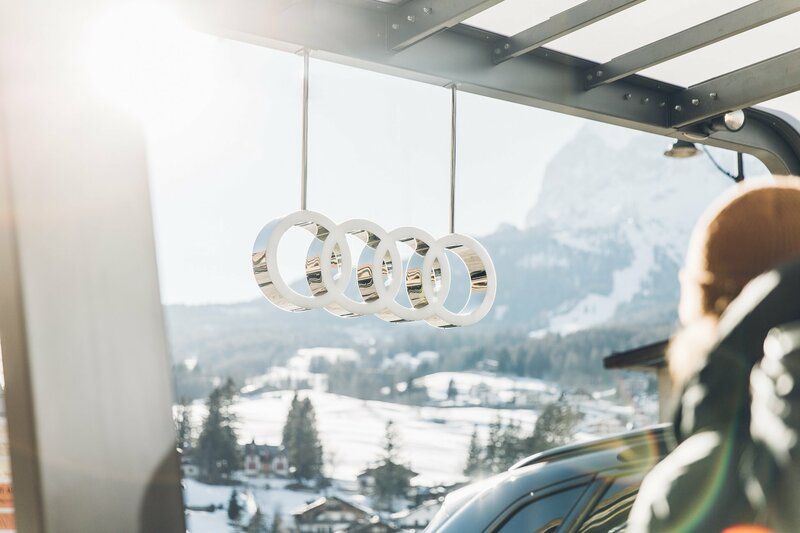 A word of thanks: The Best of the Alps collective’s main sponsor helped make our road trip come to life: We were equipped with a whole fleet of Audi’s most prestigious cars. 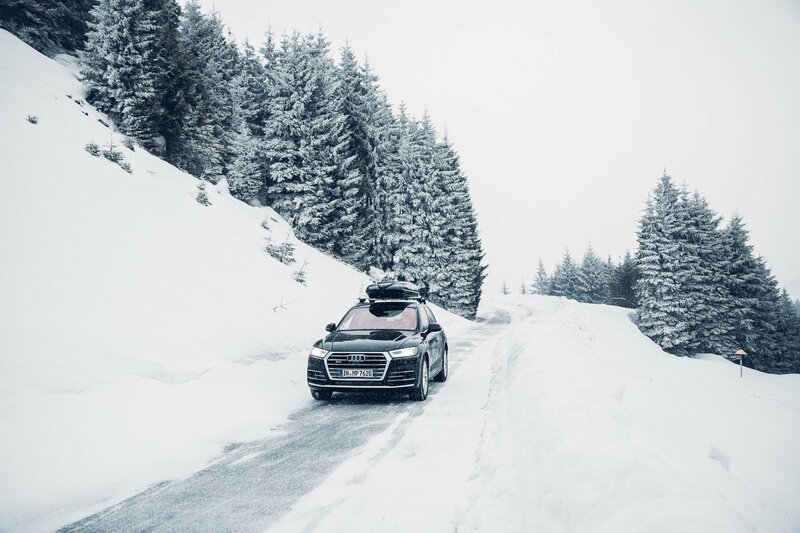 Throughout the whole week we got to test everything from the Audi A8’s luxurious massage seats and flatscreen entertainment system, to the Audi SQ7’s powerful Diesel machine. As you know we’re not experts when it comes to technical details of cars, but we sure have driven many, many different cars in our lives. So we know what we are looking for. 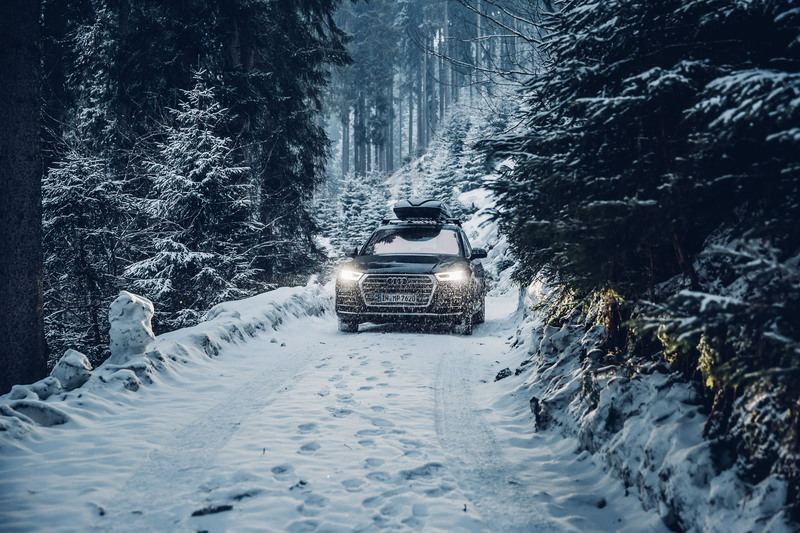 And the combination of a sporty character with tremendous comforts is something that definitely stands out for us. Thanks to Audi for making our road trip possible! Make sure to check the links of the participants to get to their Instagram profiles and see their impressions from our trip. 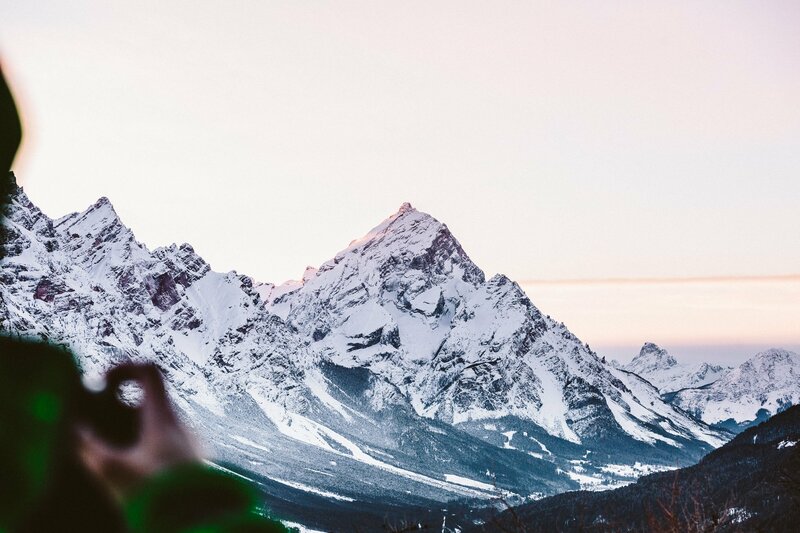 Via the hashtag #bestofthealpsroadtrip you can also see an overview of all our photos from the trip!